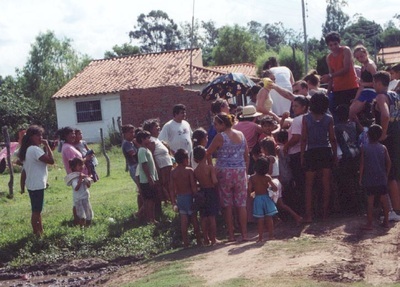 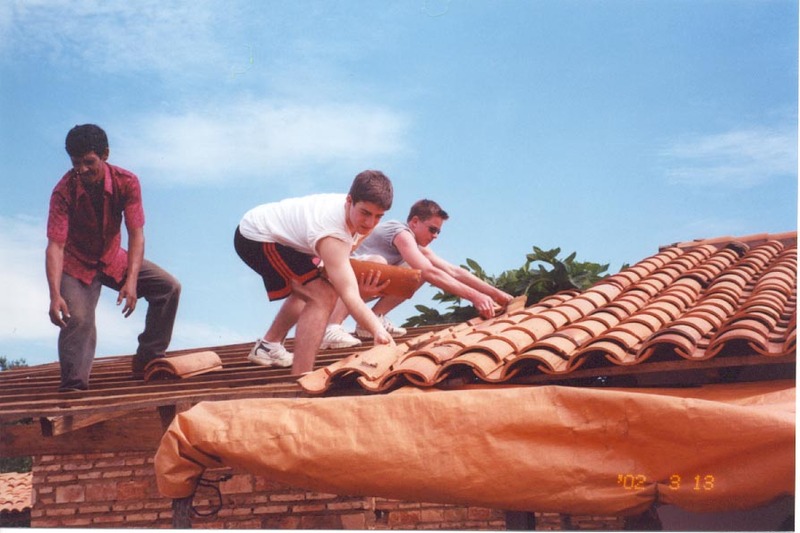 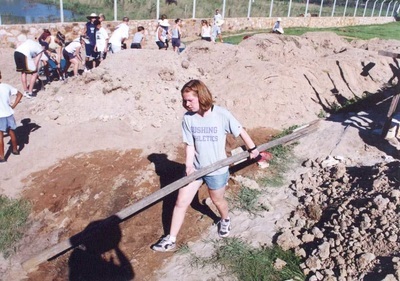 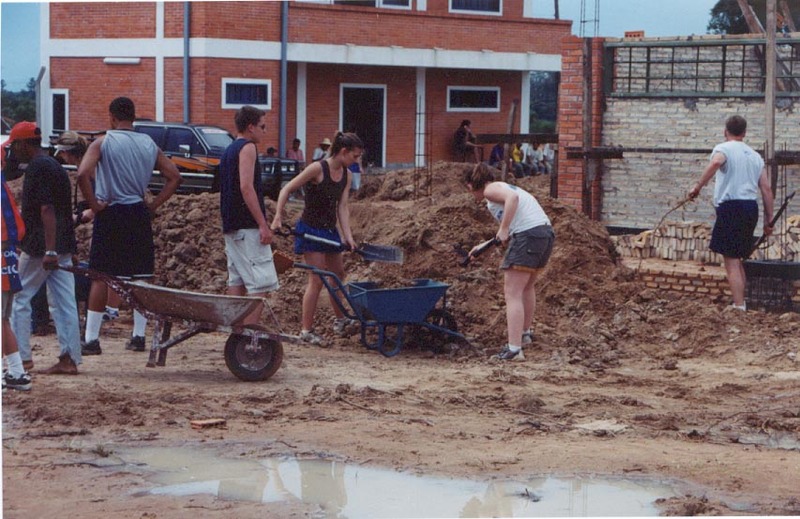 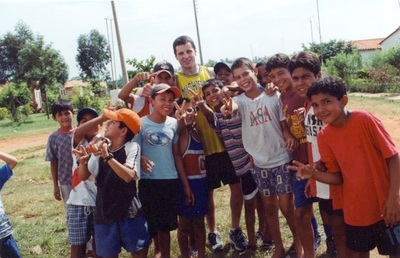 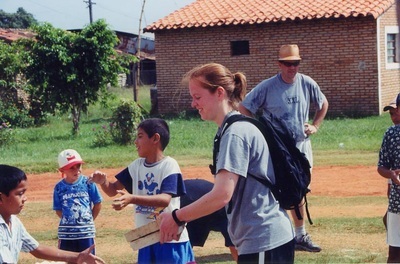 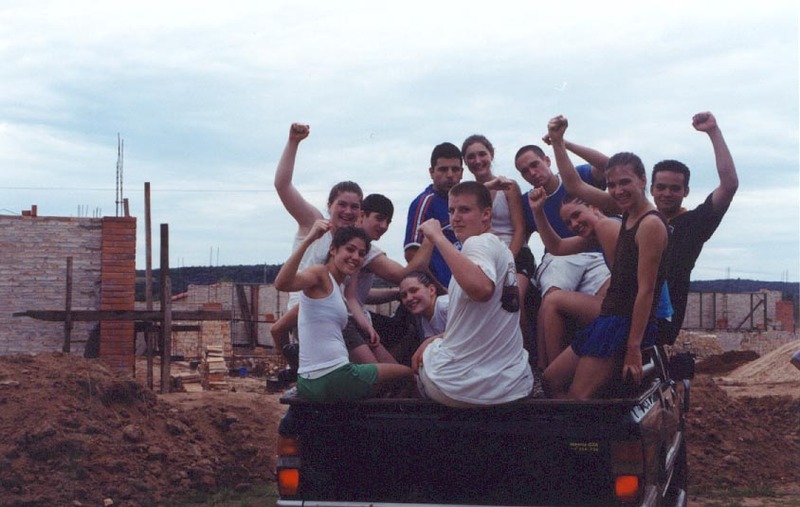 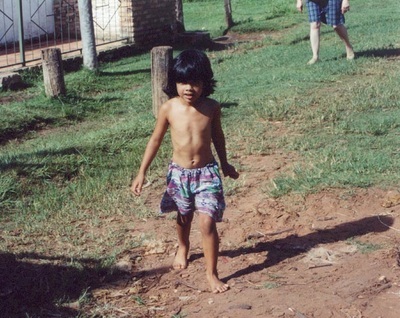 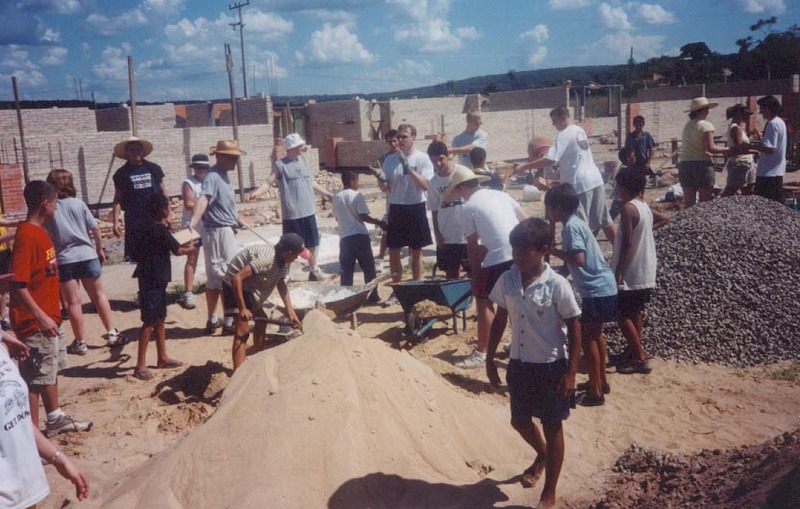 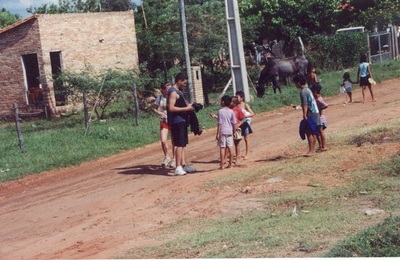 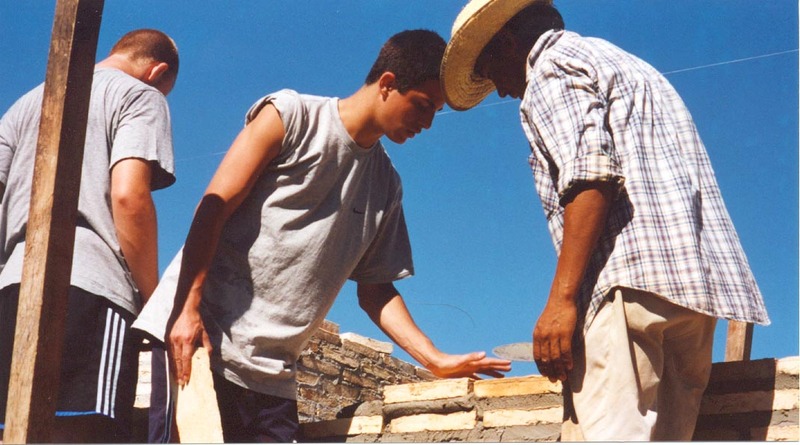 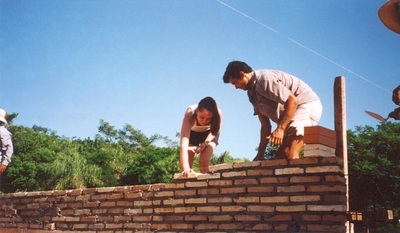 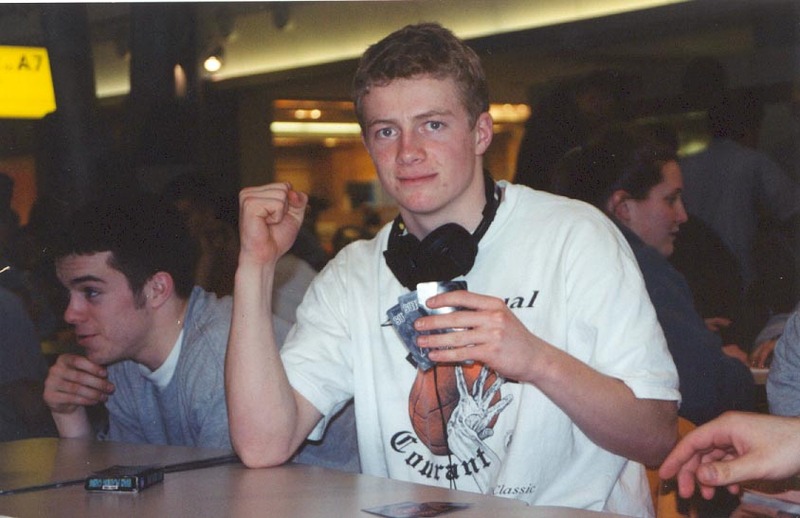 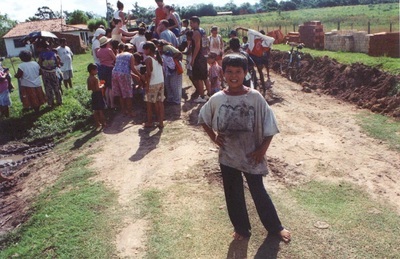 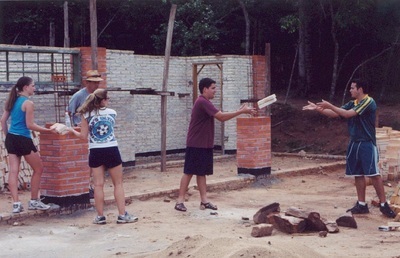 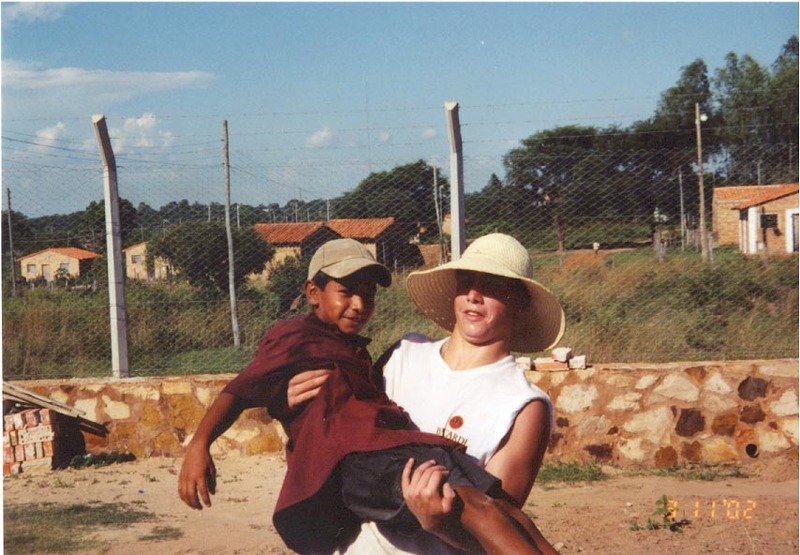 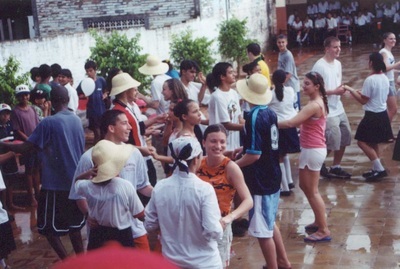 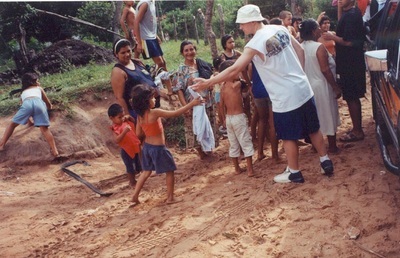 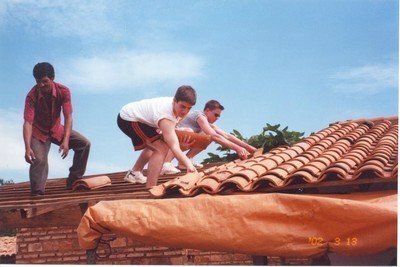 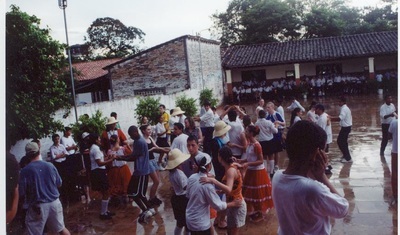 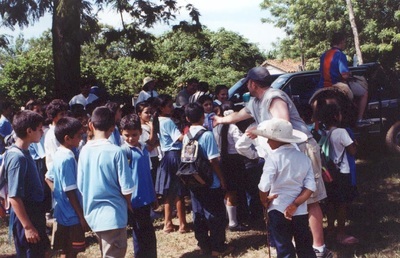 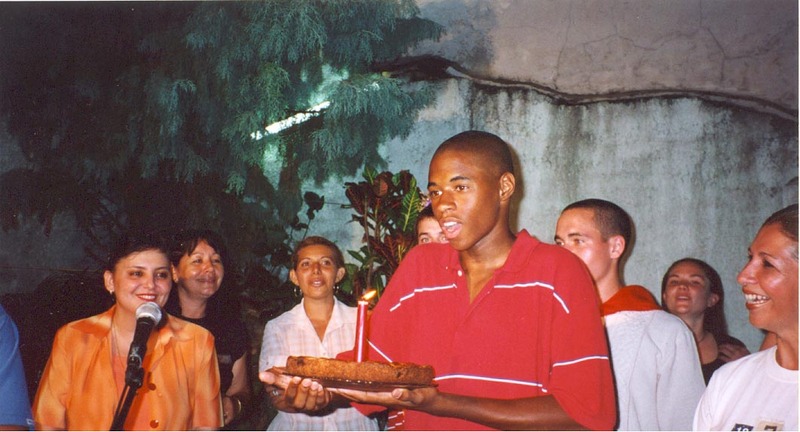 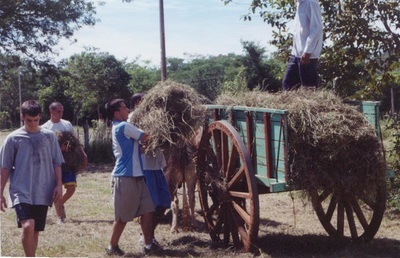 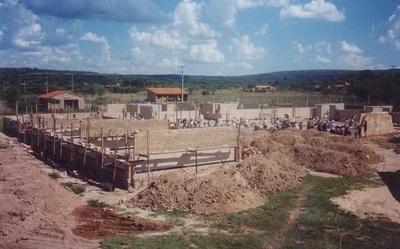 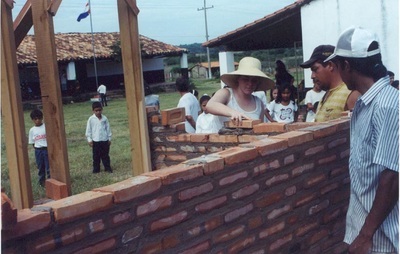 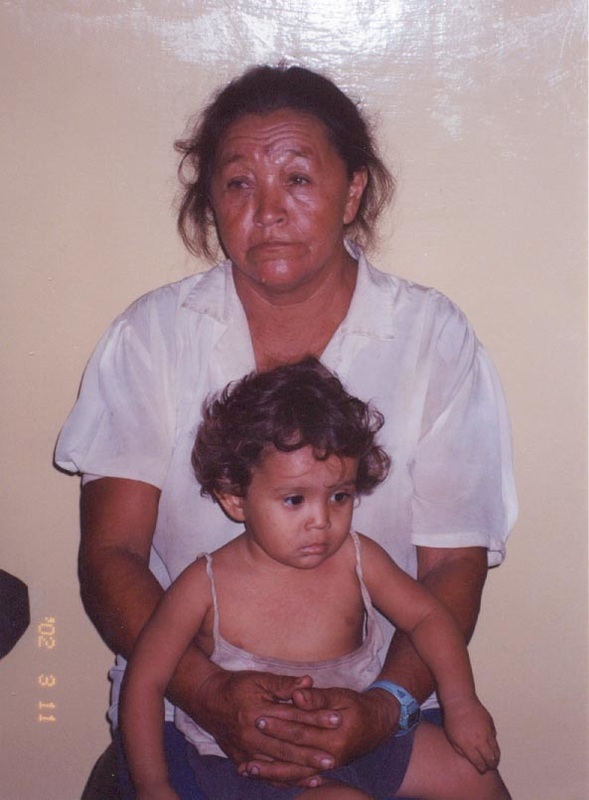 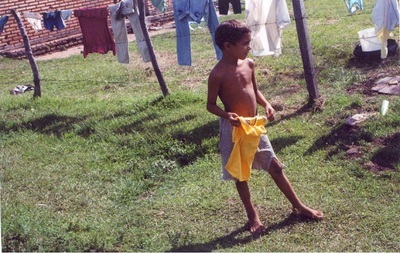 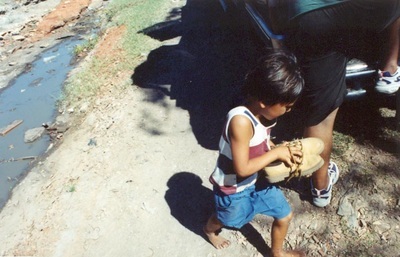 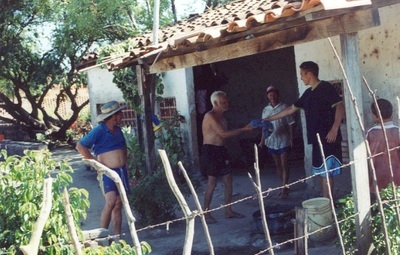 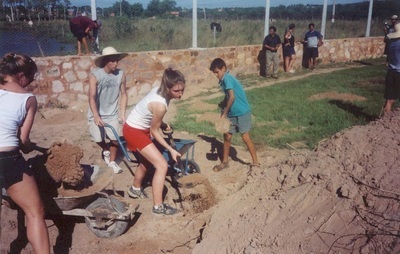 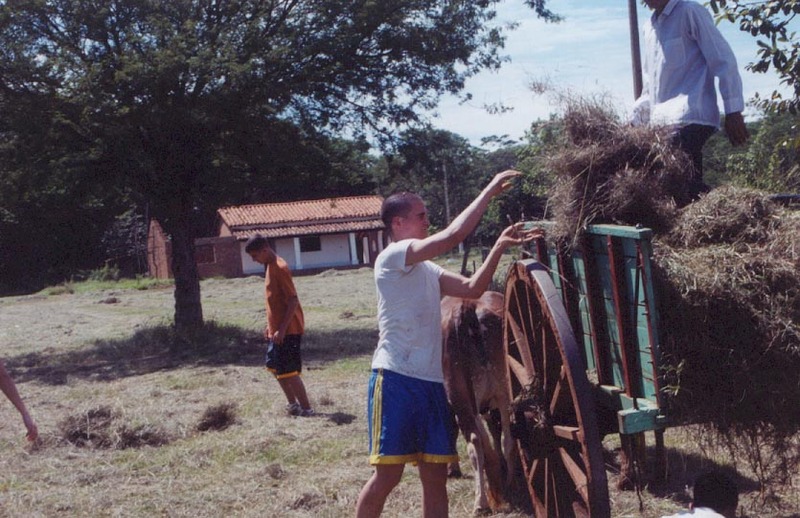 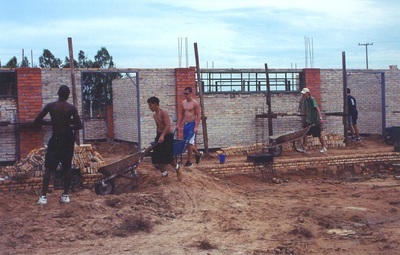 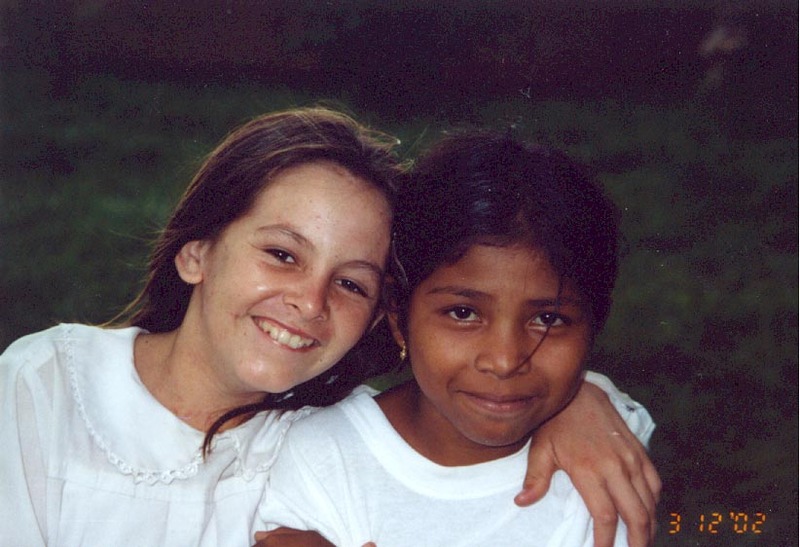 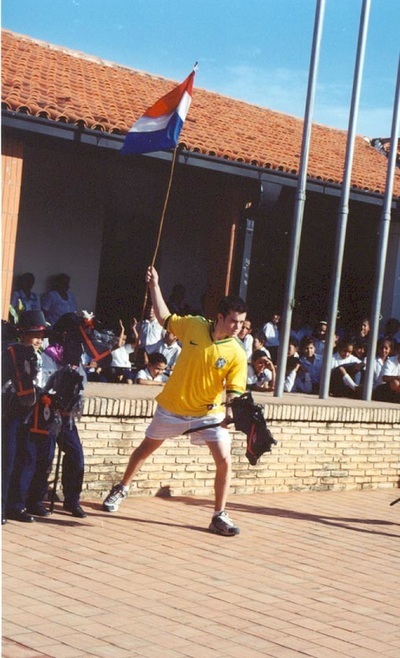 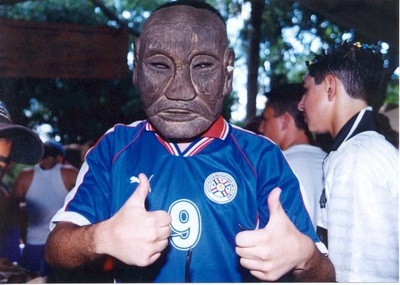 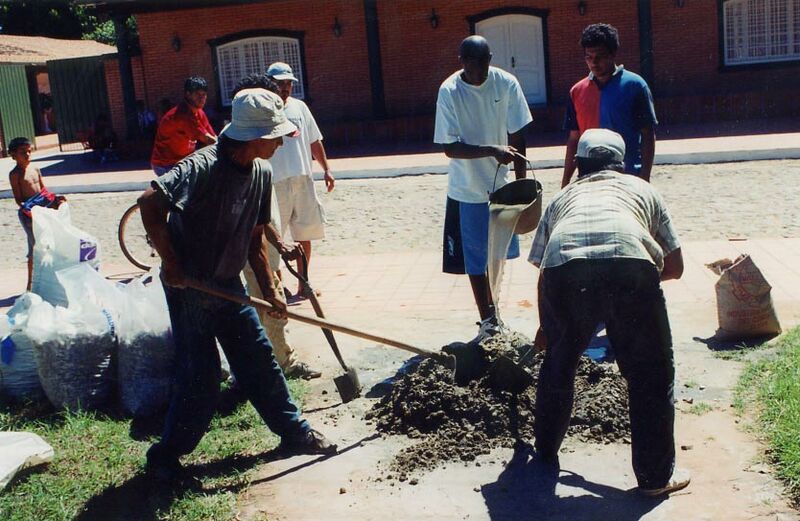 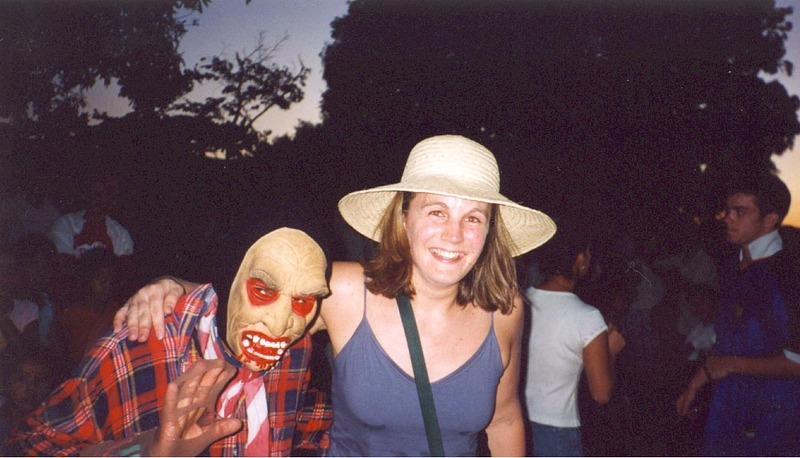 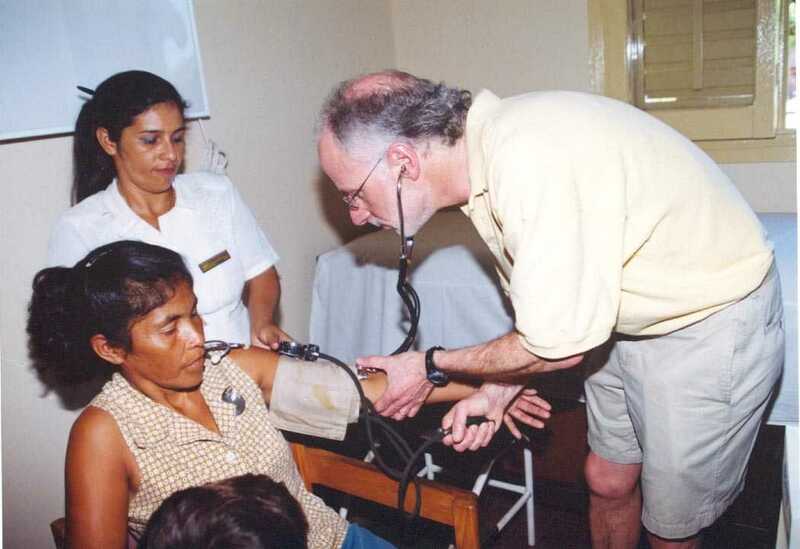 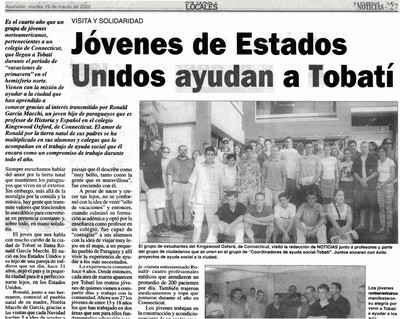 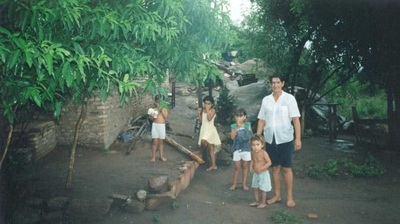 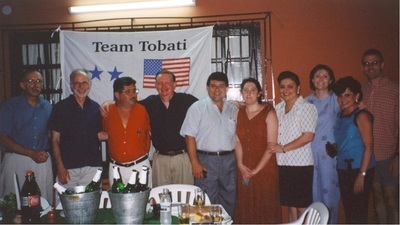 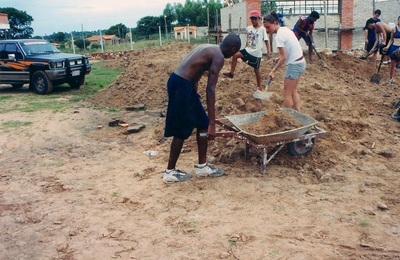 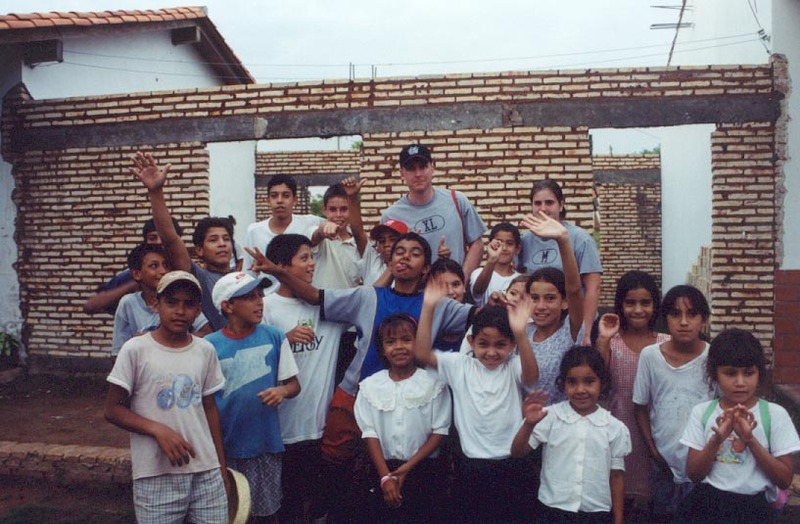 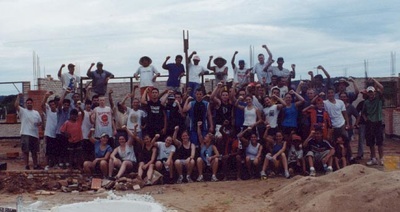 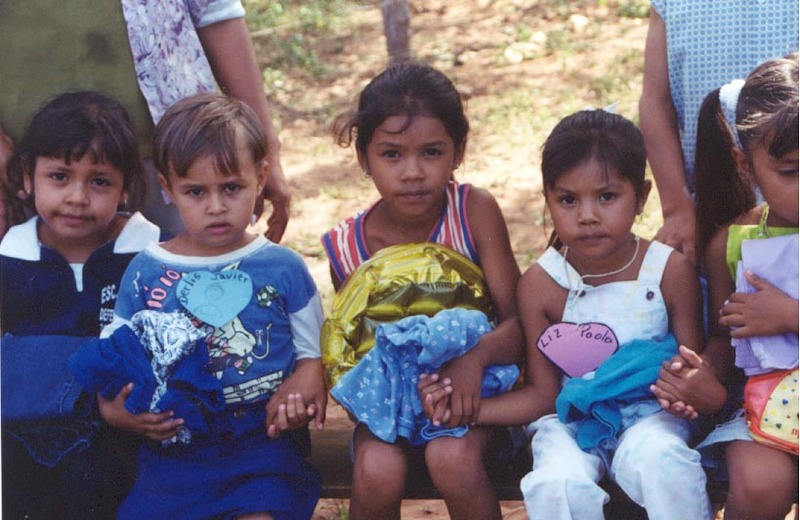 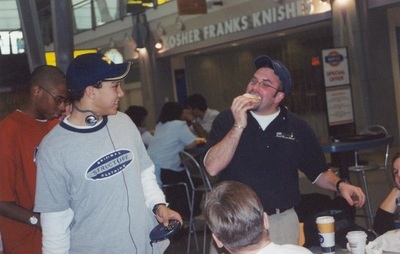 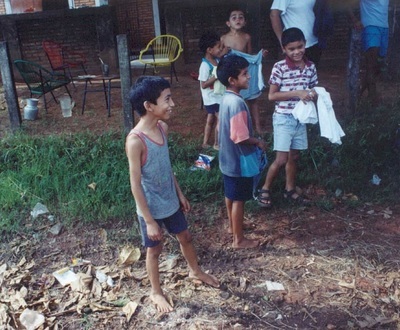 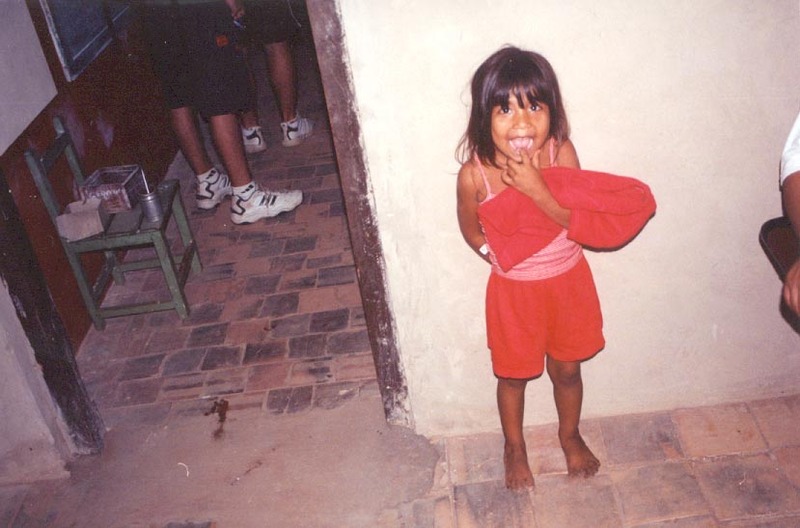 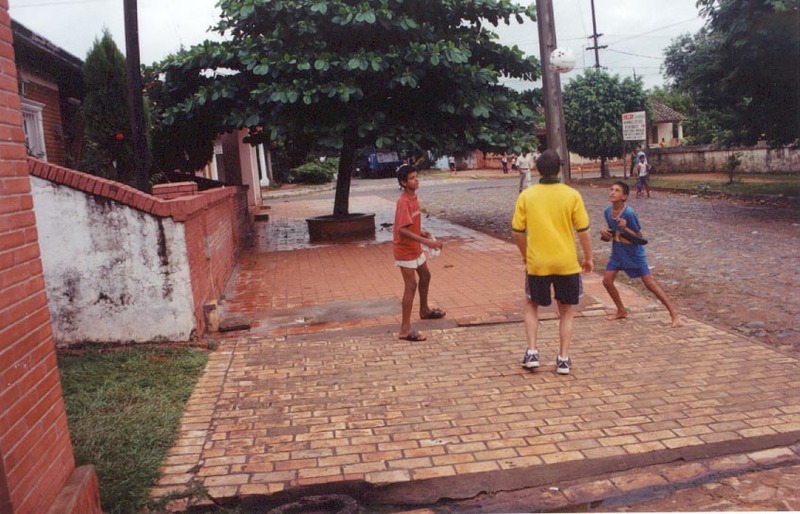 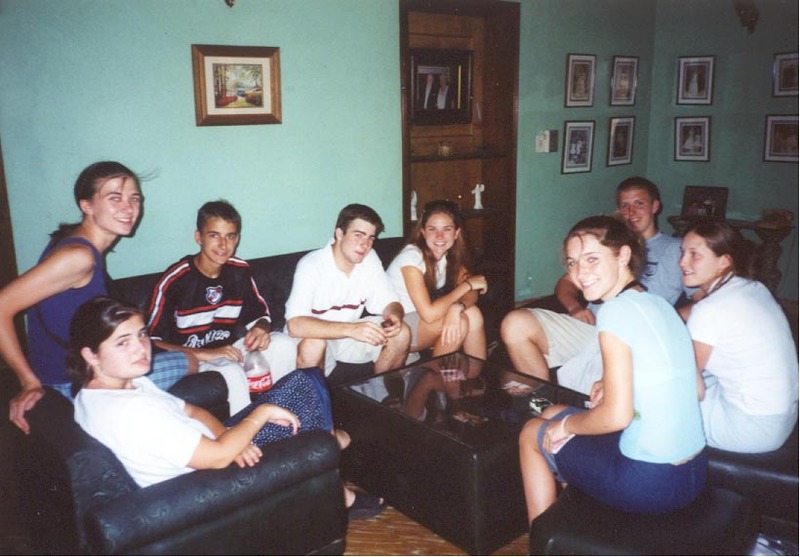 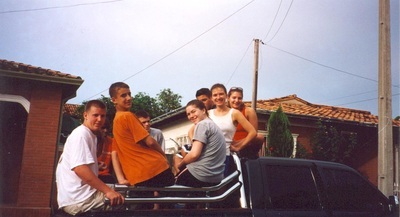 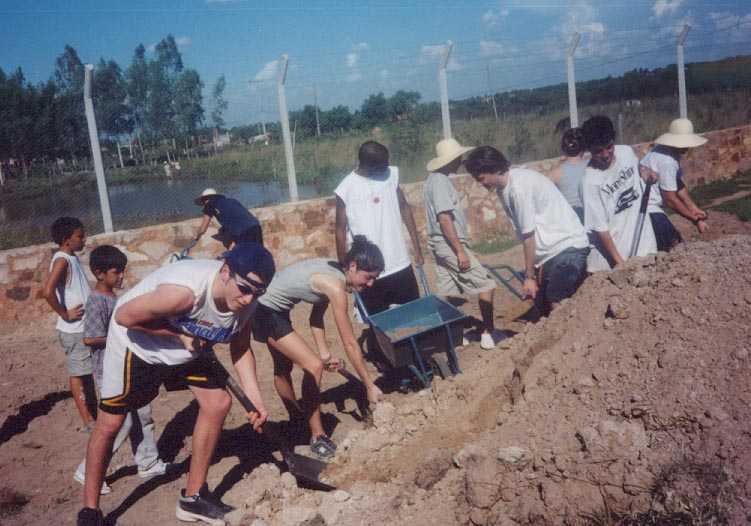 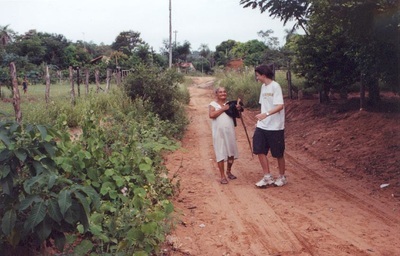 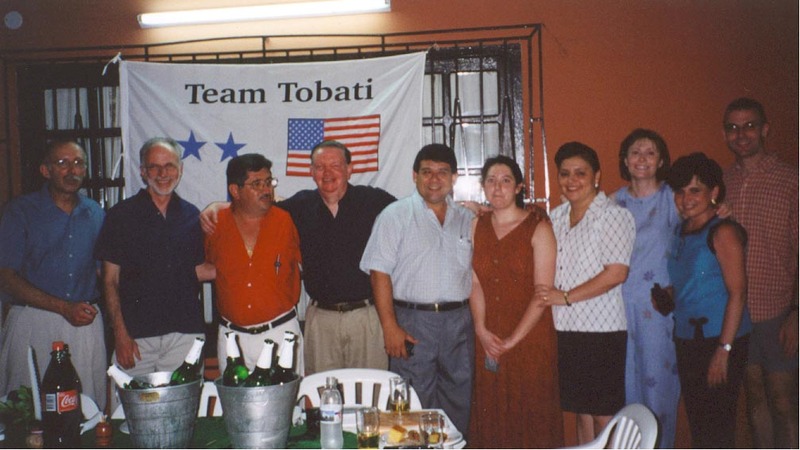 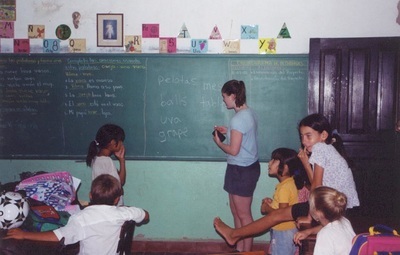 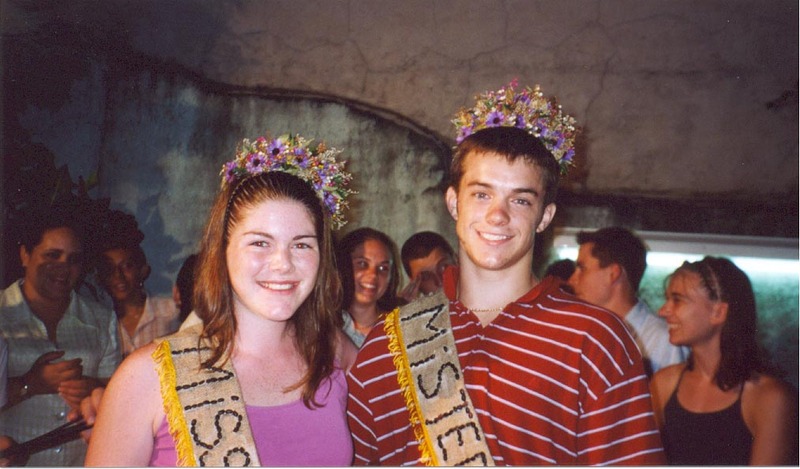 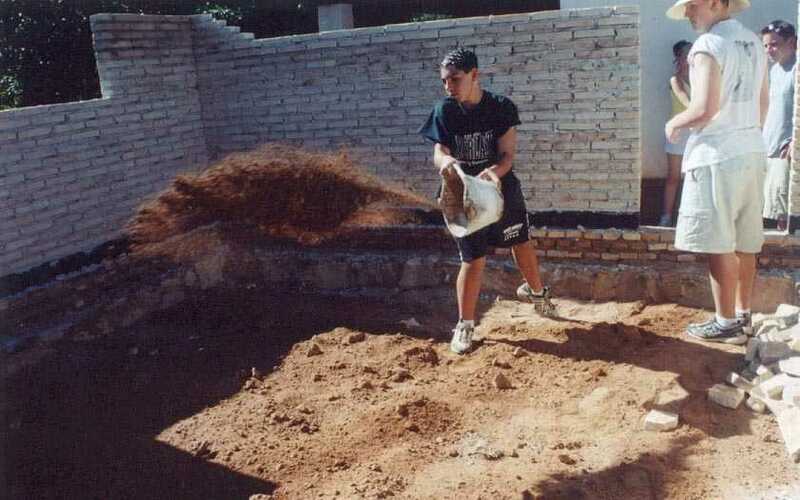 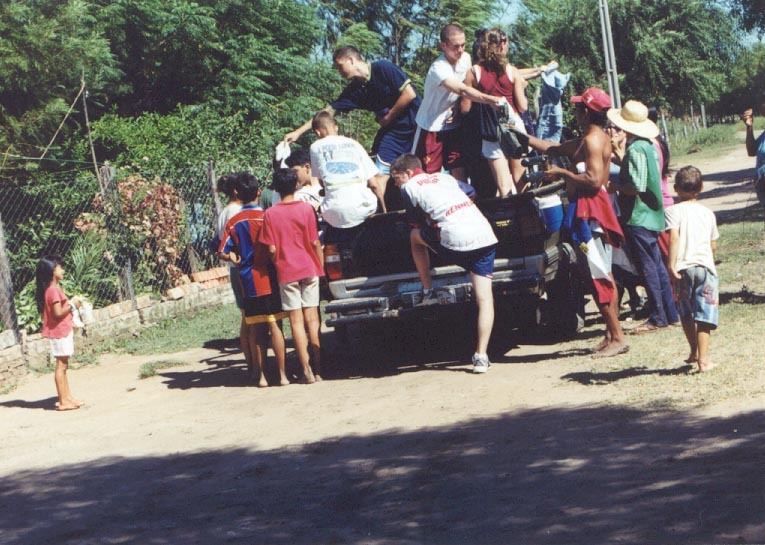 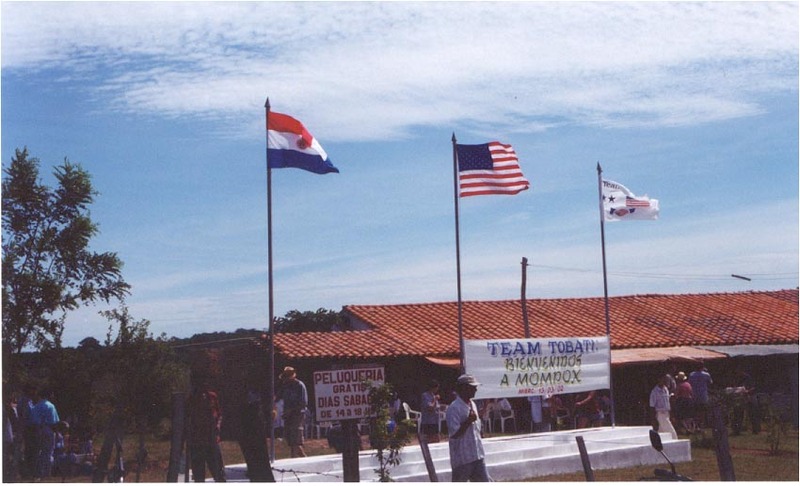 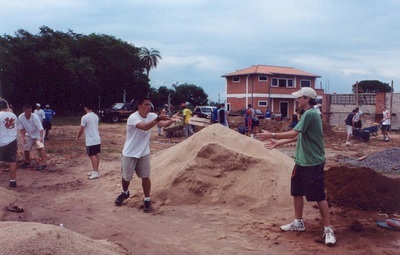 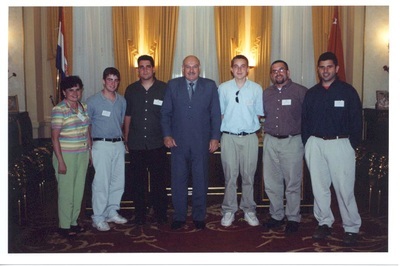 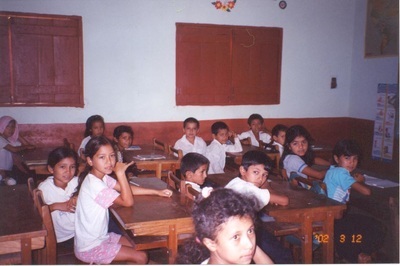 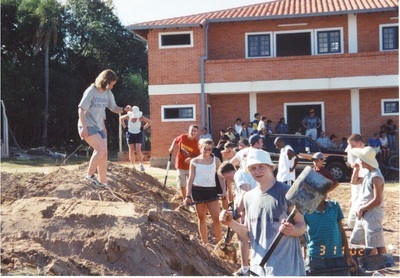 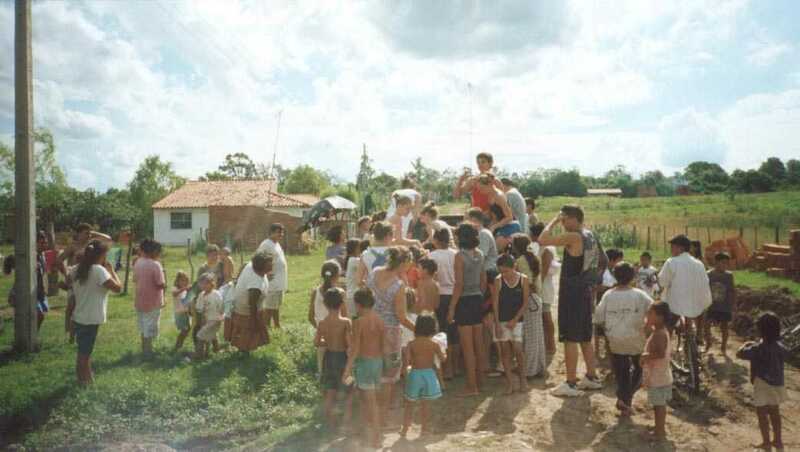 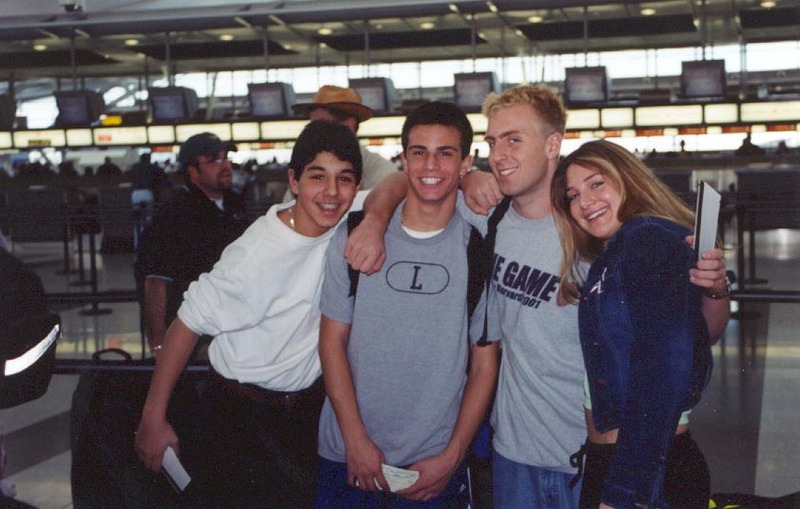 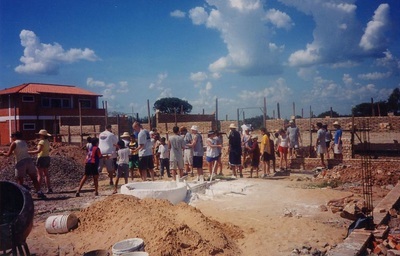 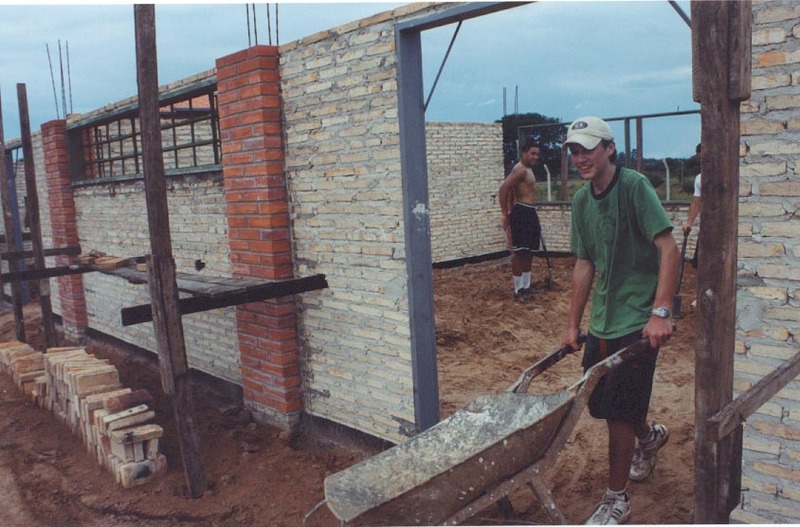 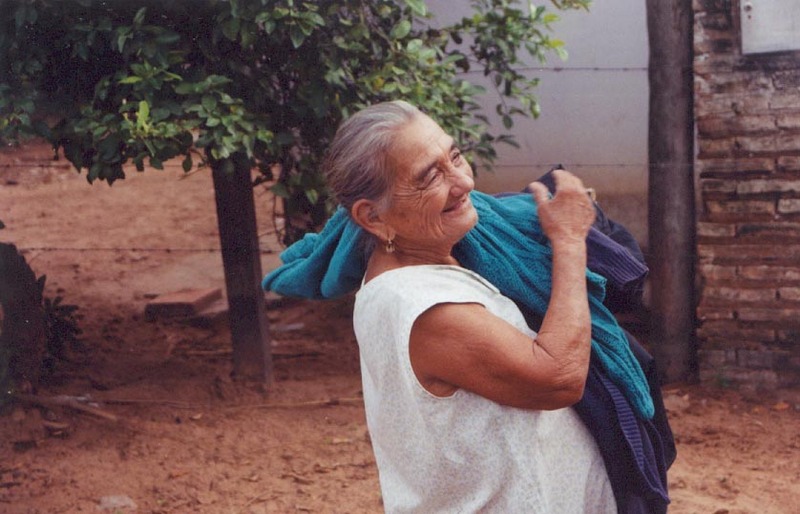 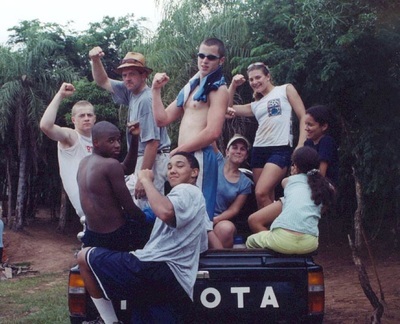 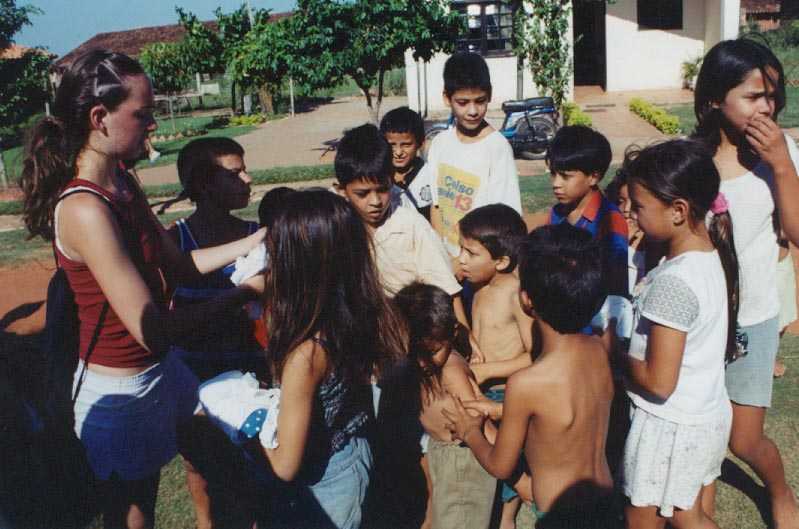 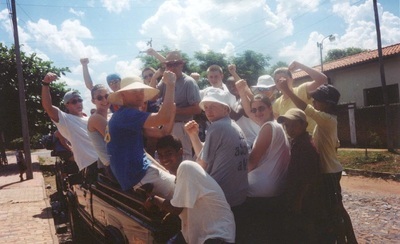 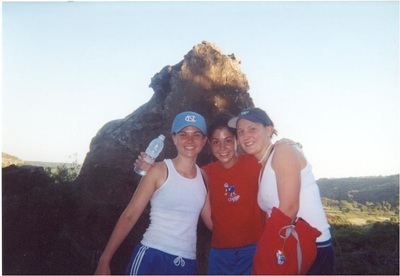 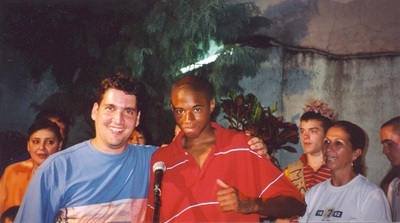 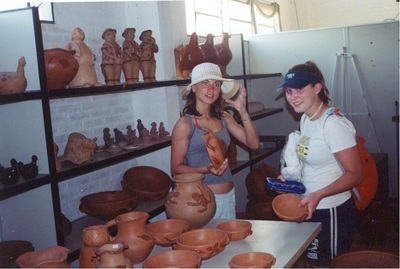 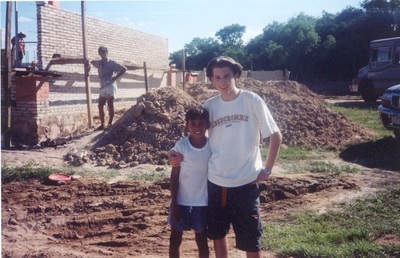 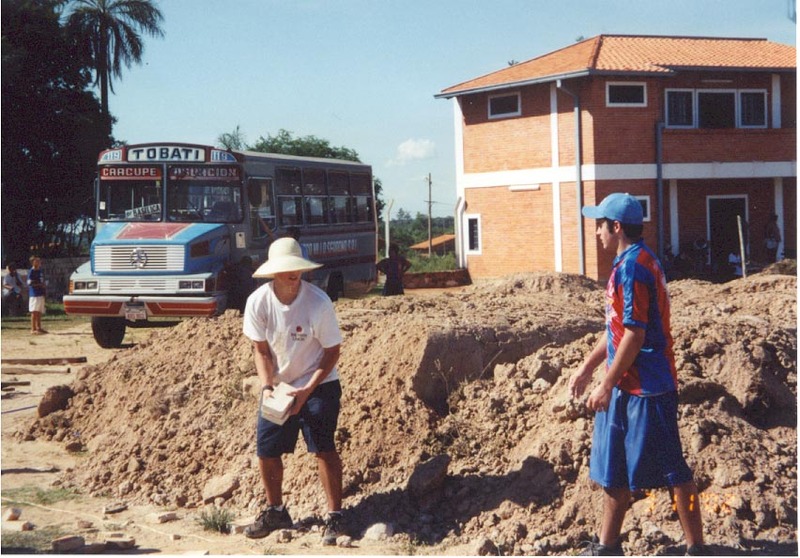 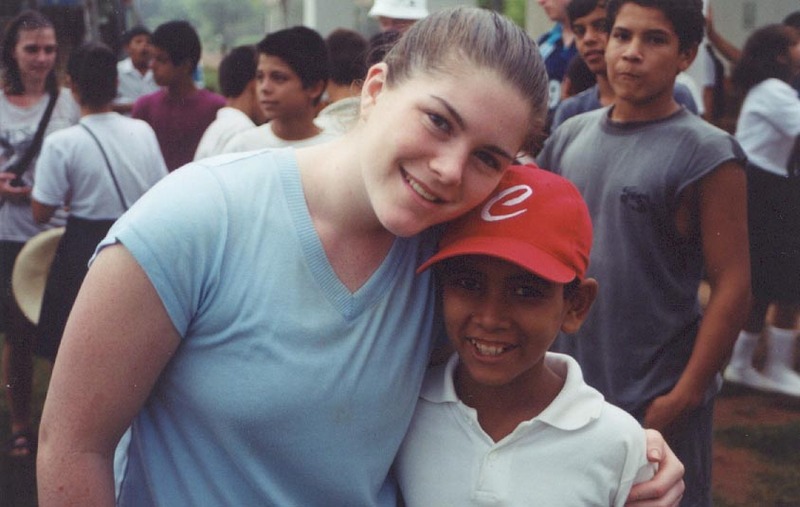 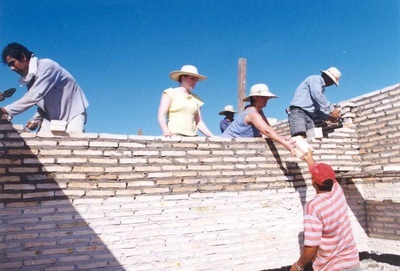 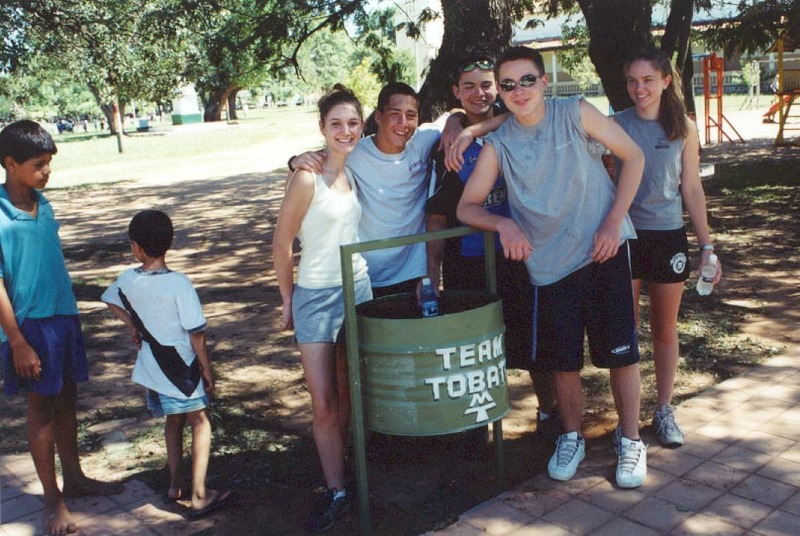 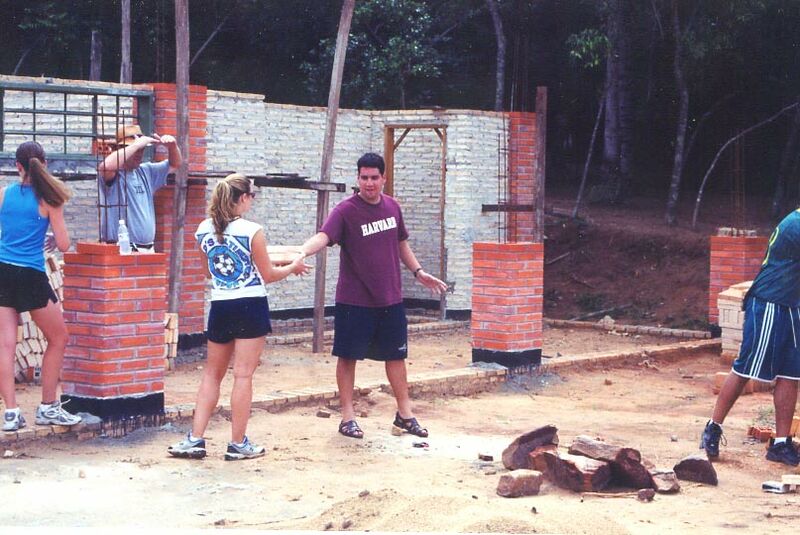 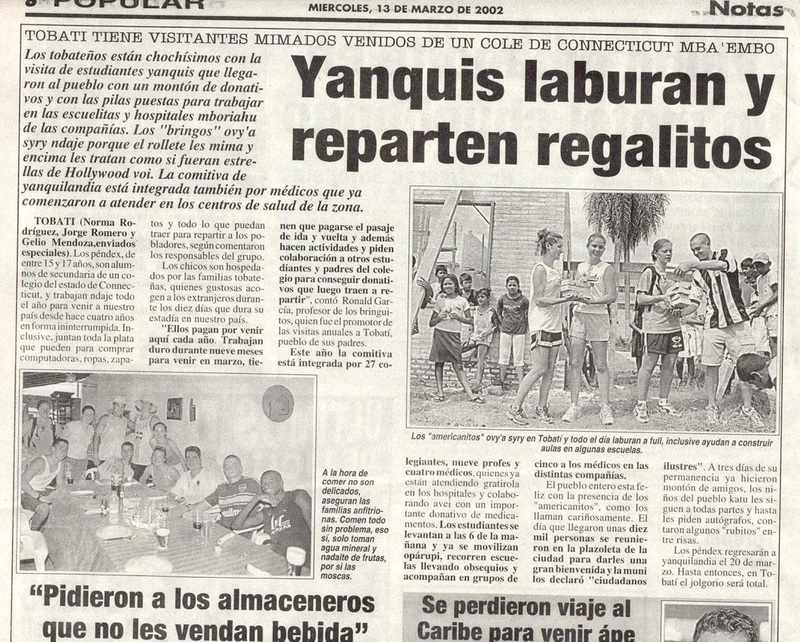 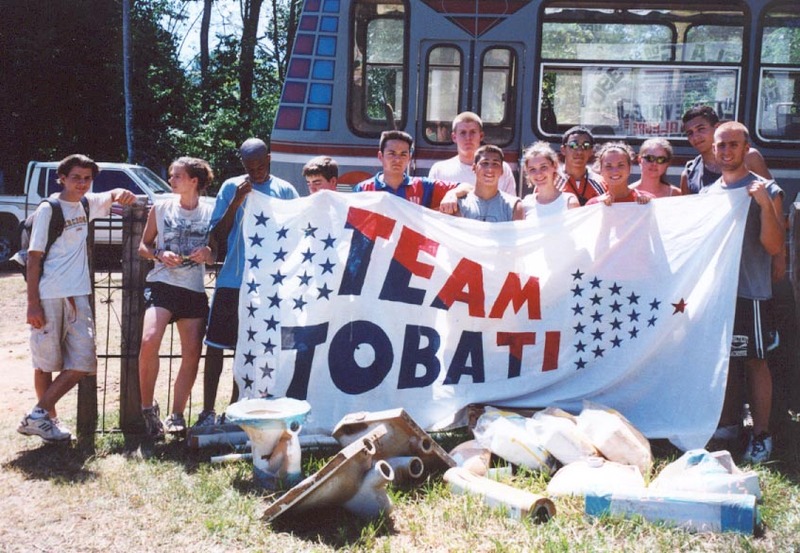 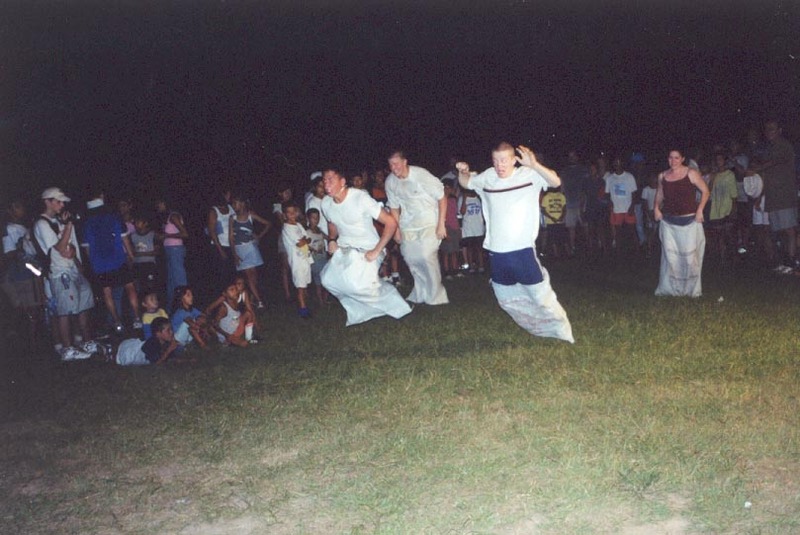 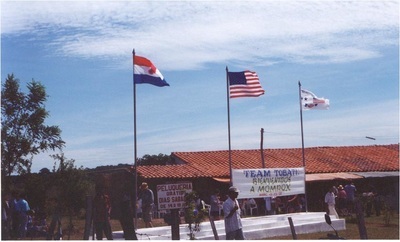 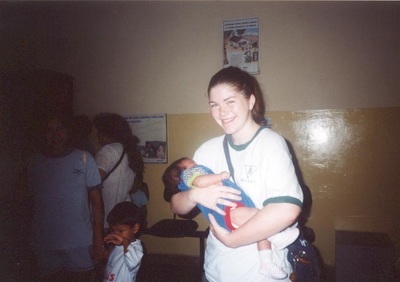 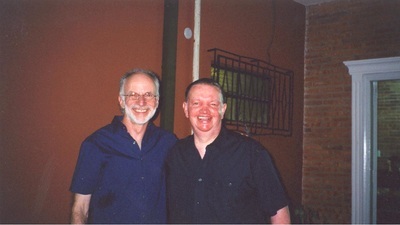 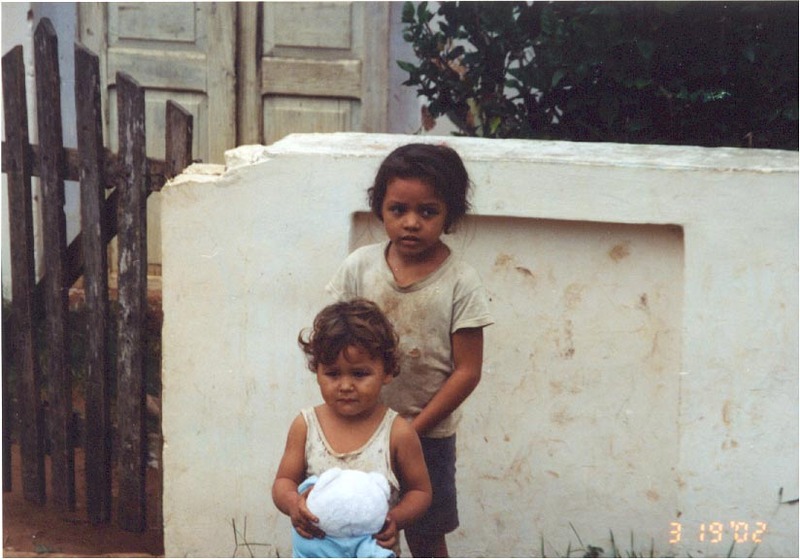 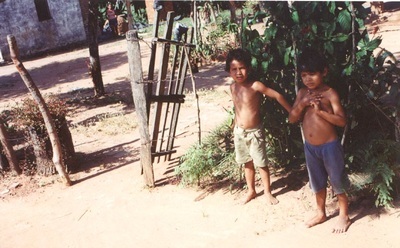 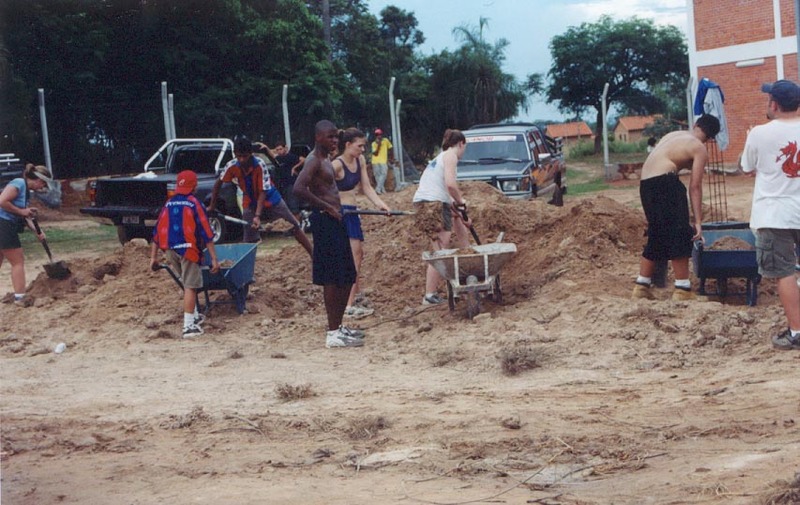 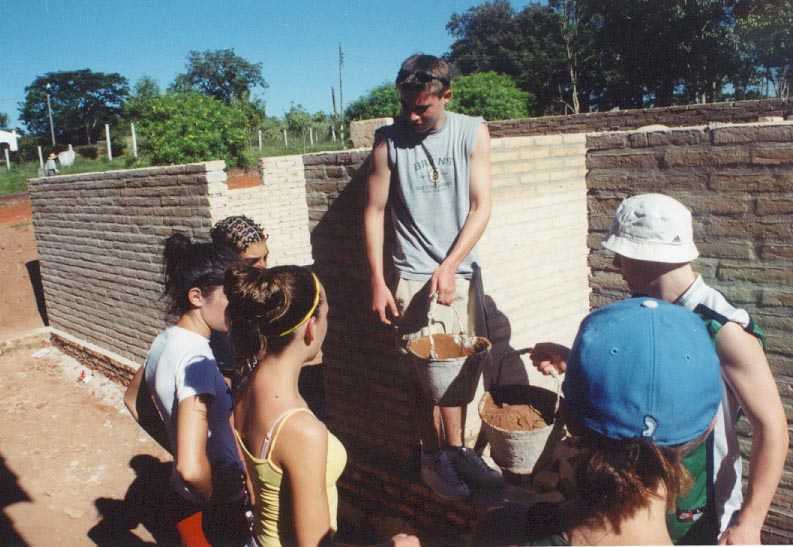 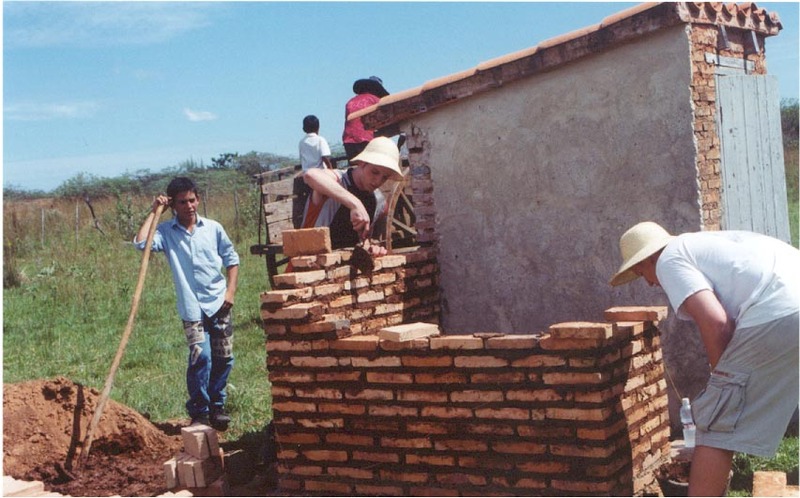 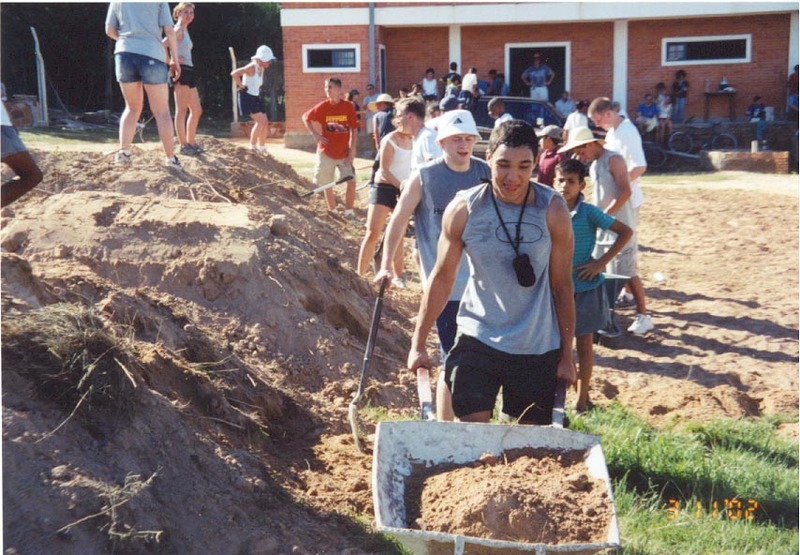 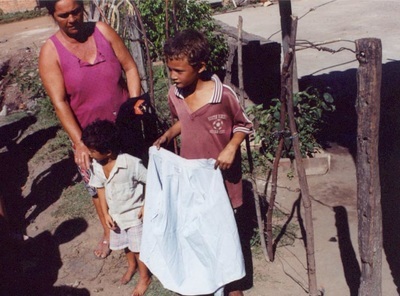 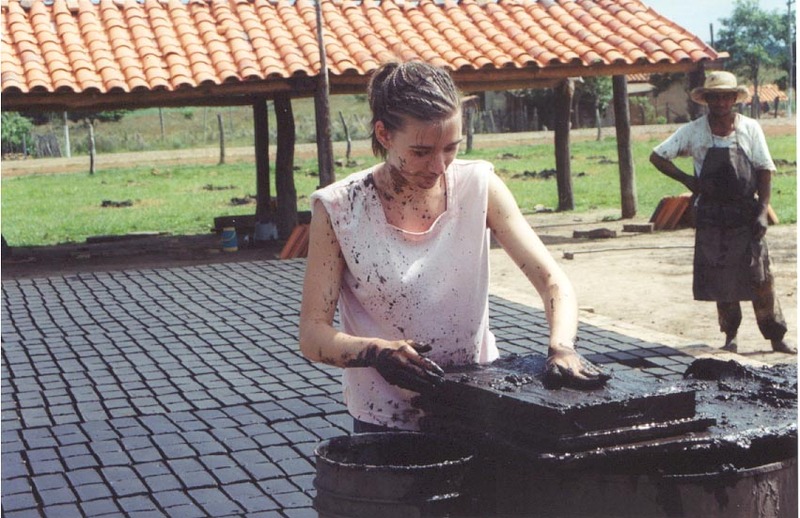 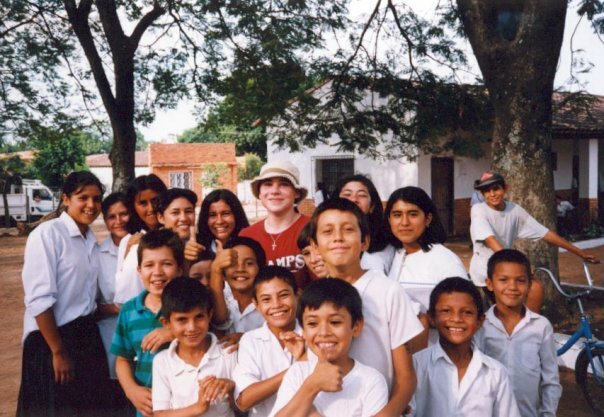 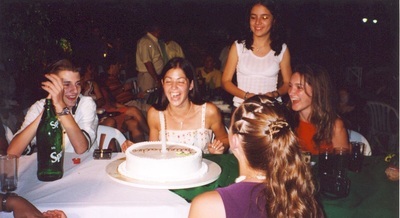 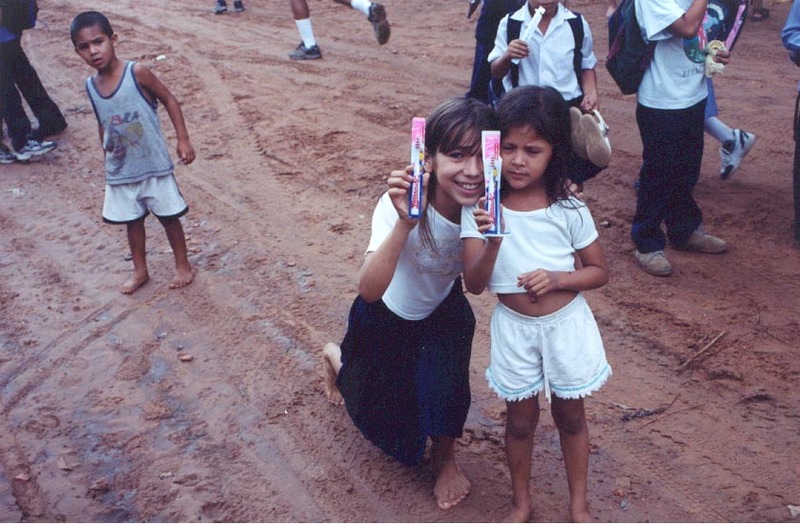 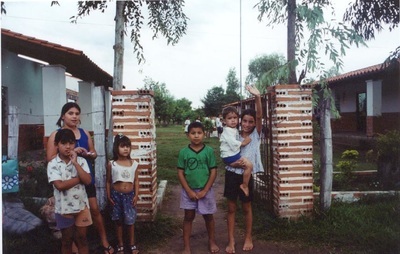 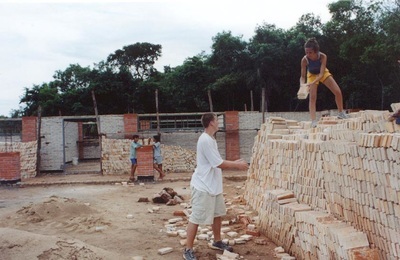 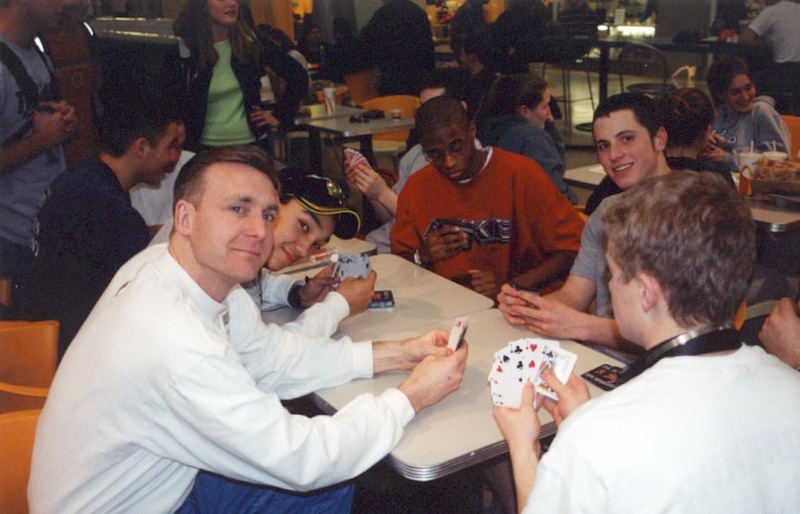 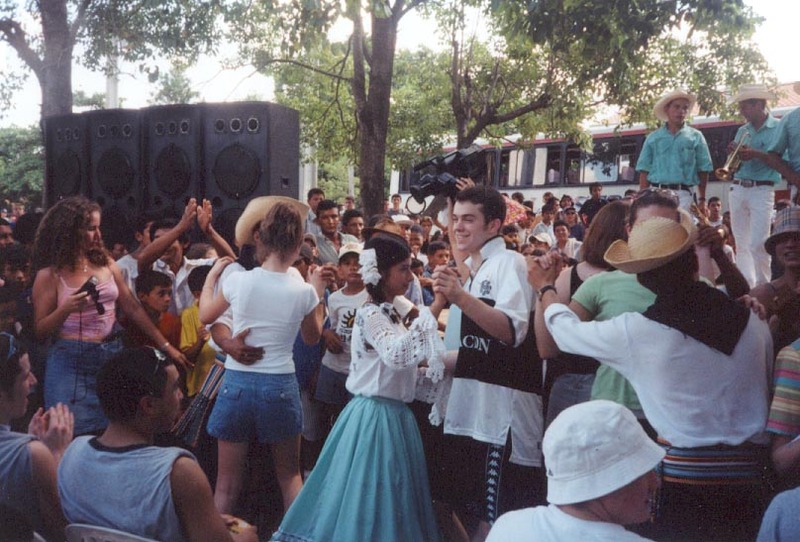 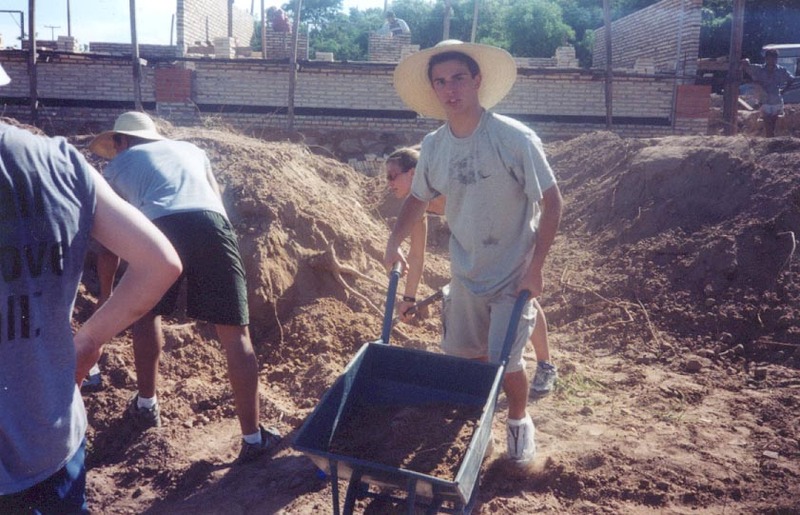 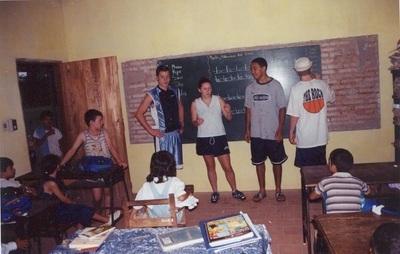 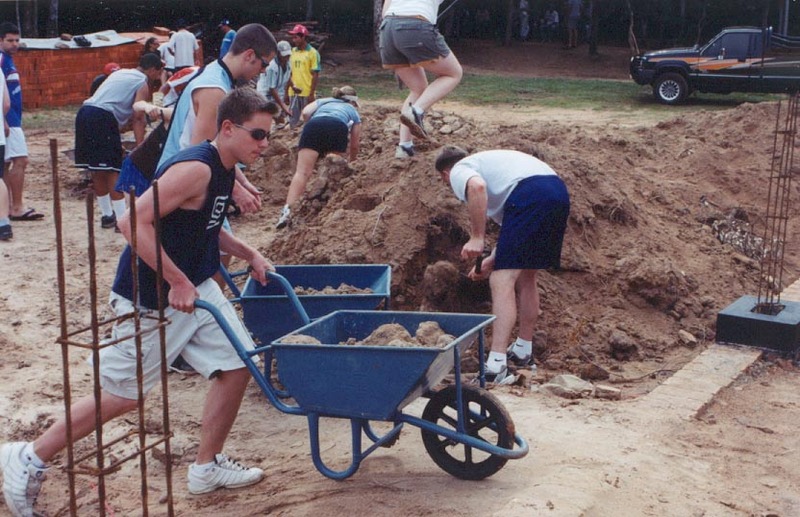 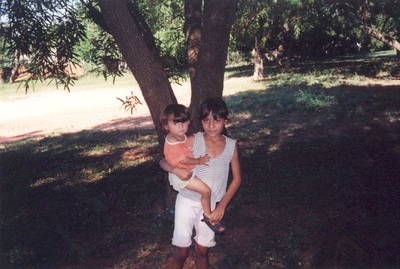 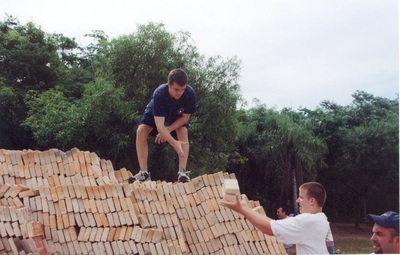 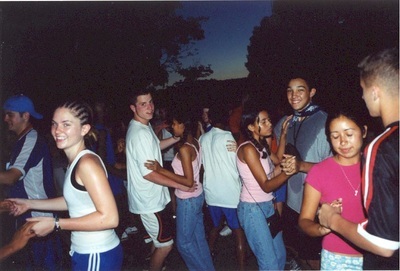 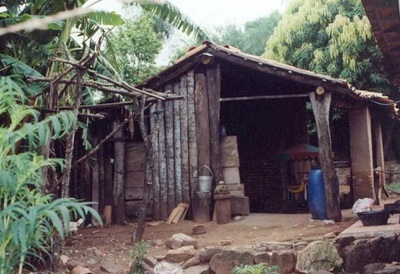 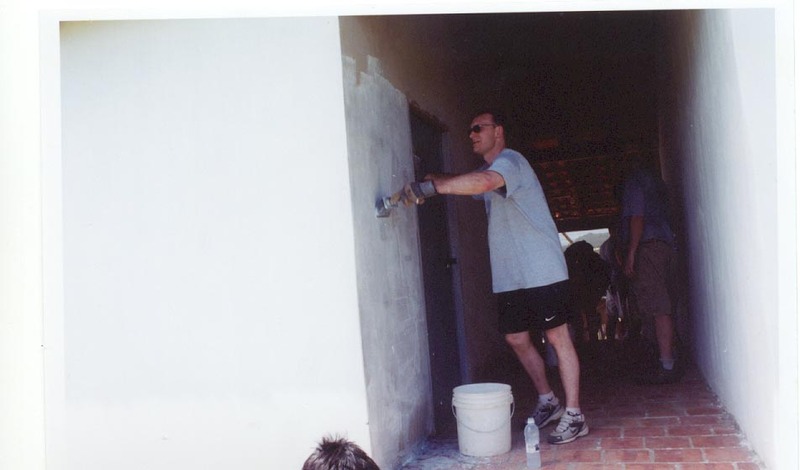 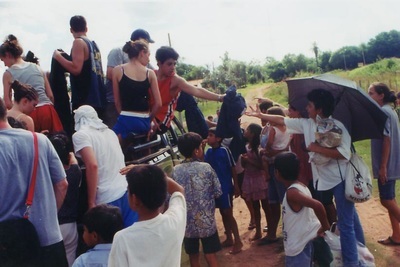 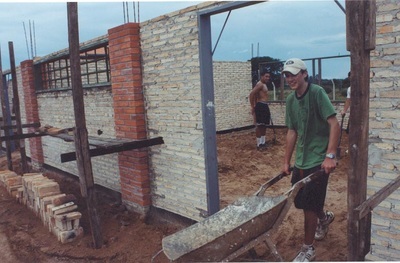 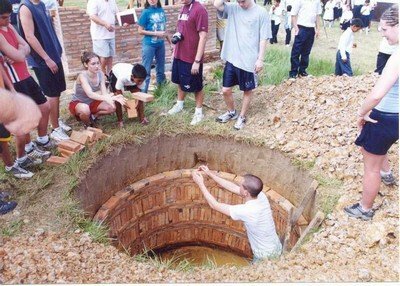 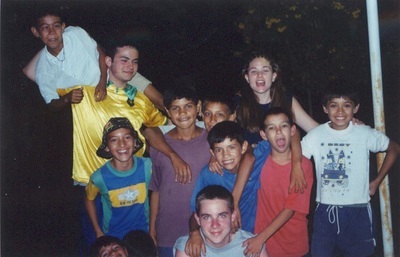 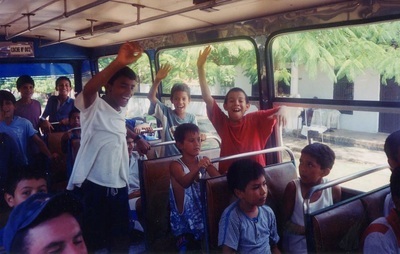 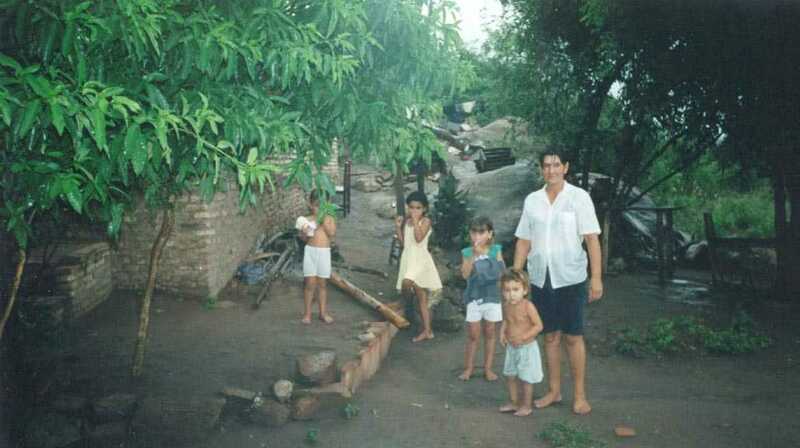 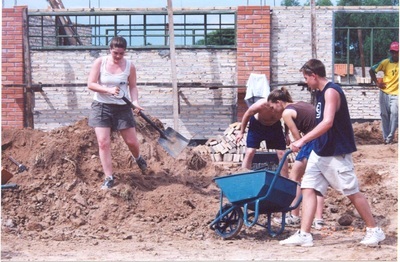 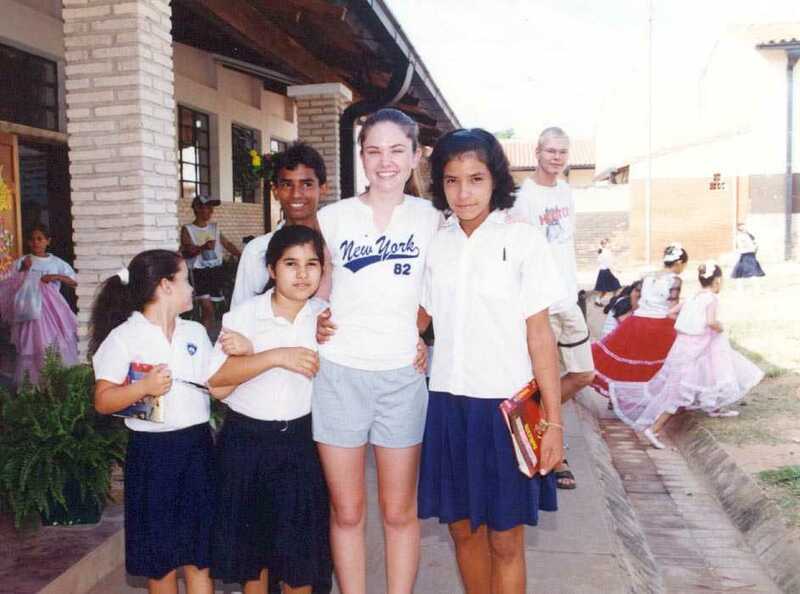 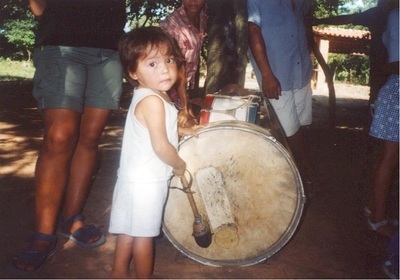 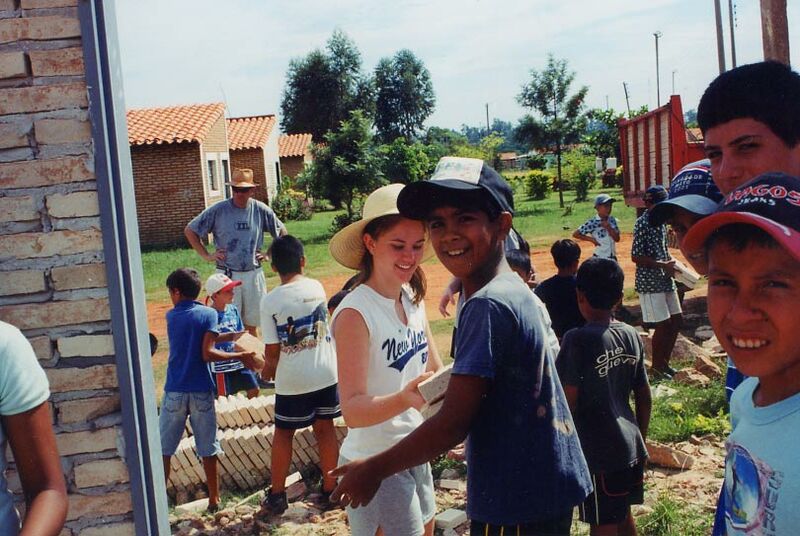 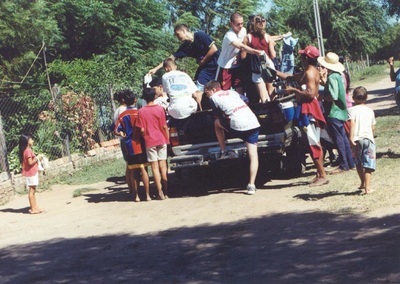 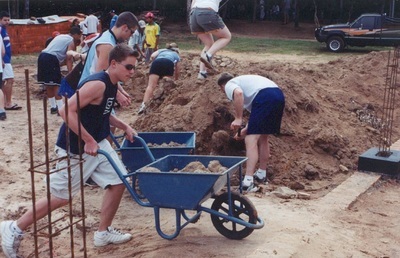 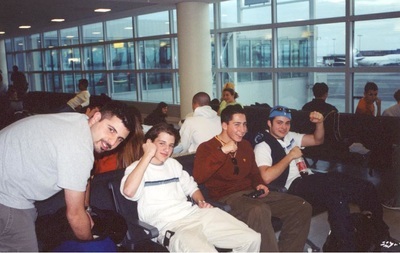 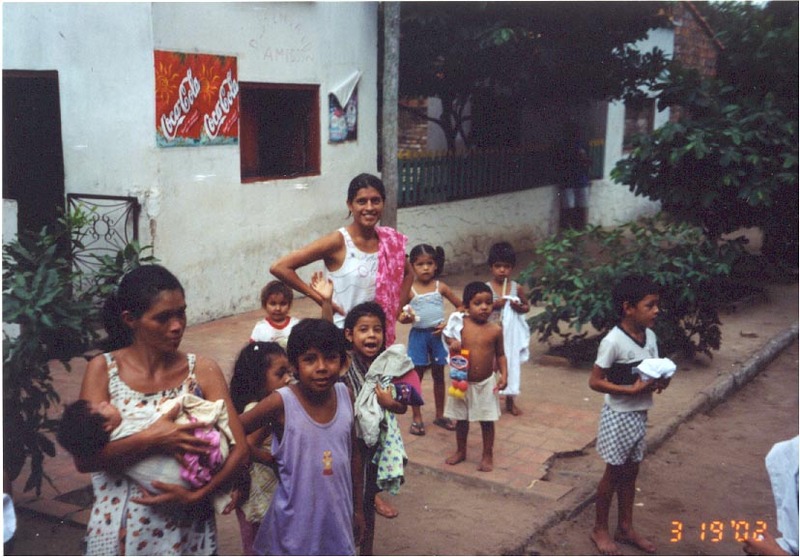 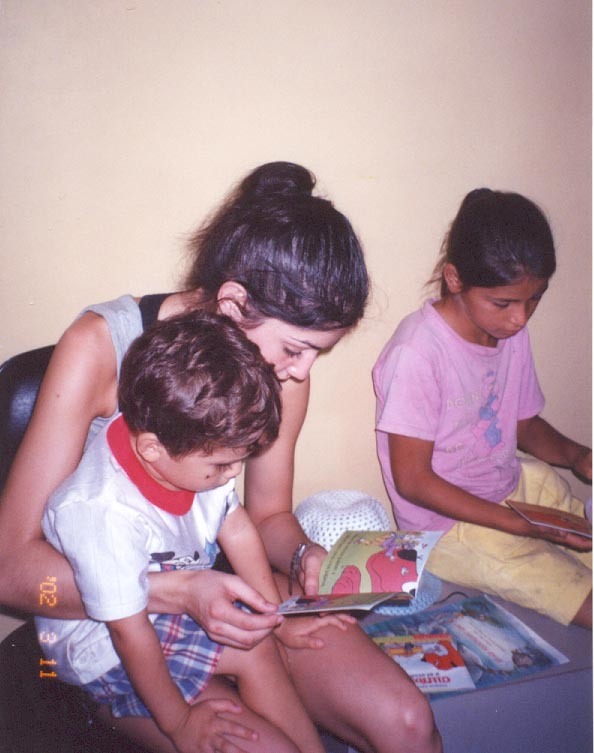 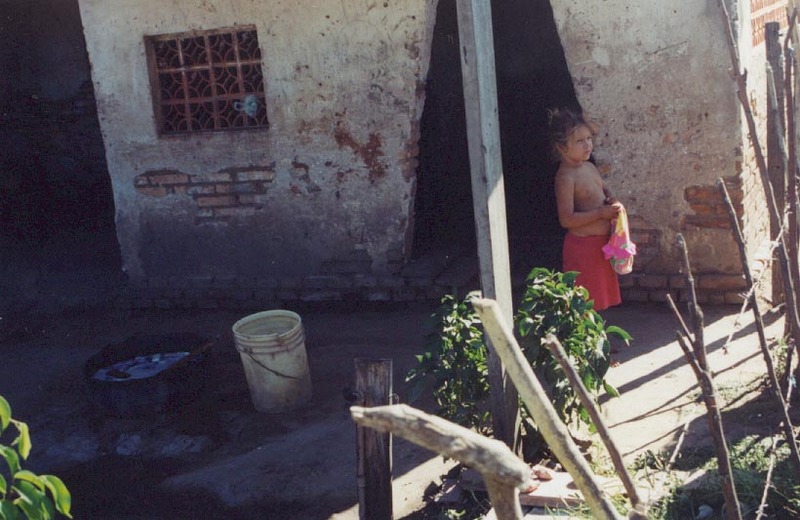 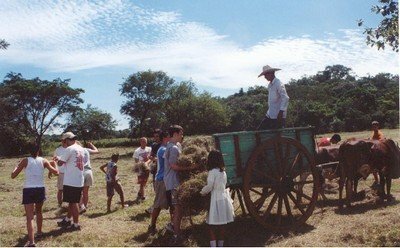 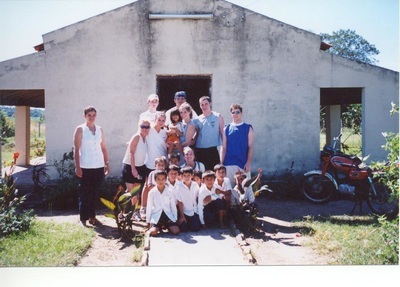 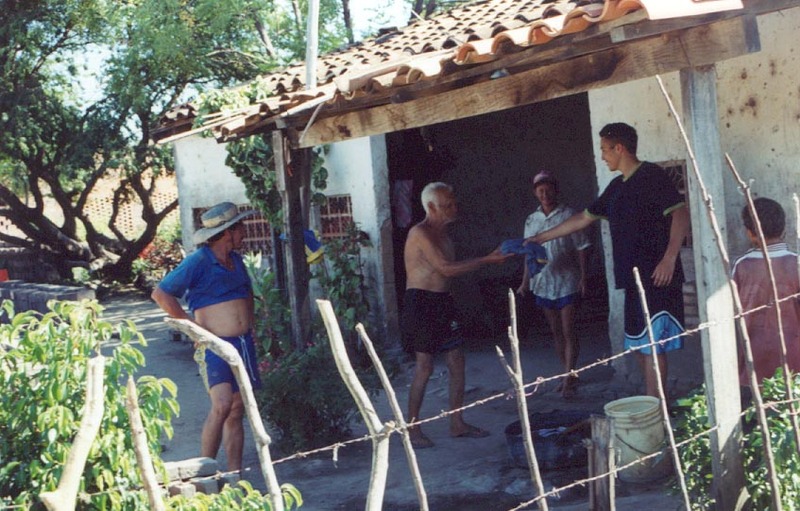 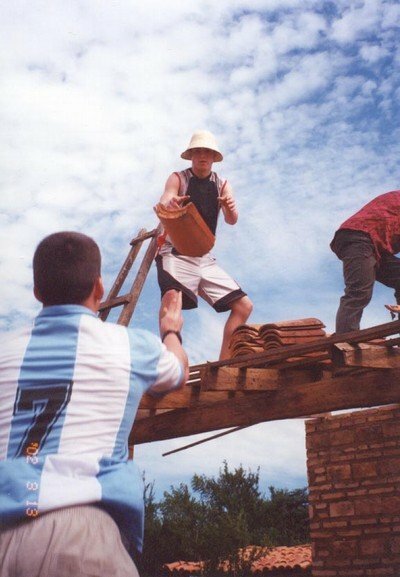 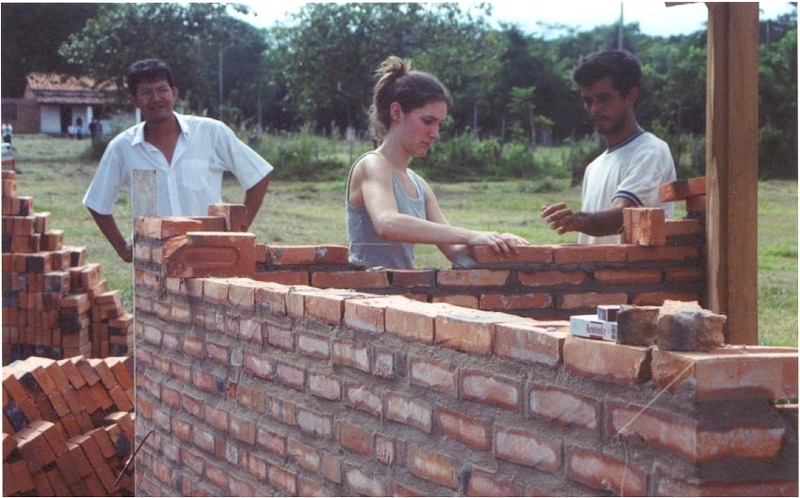 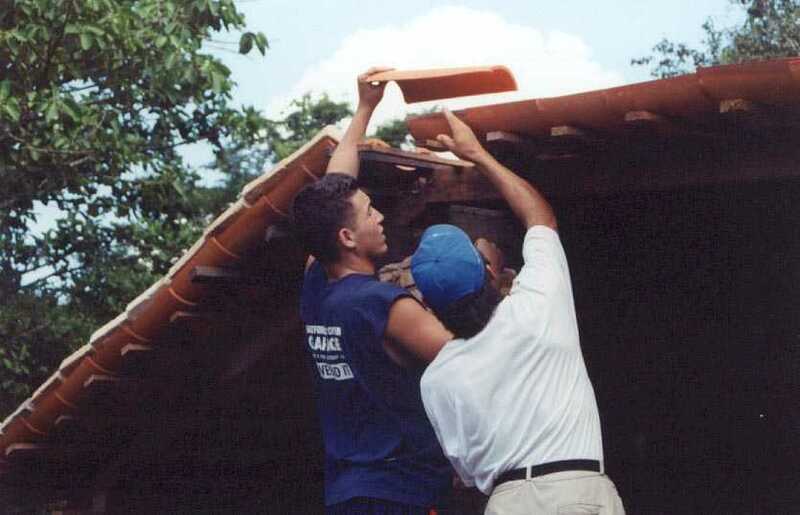 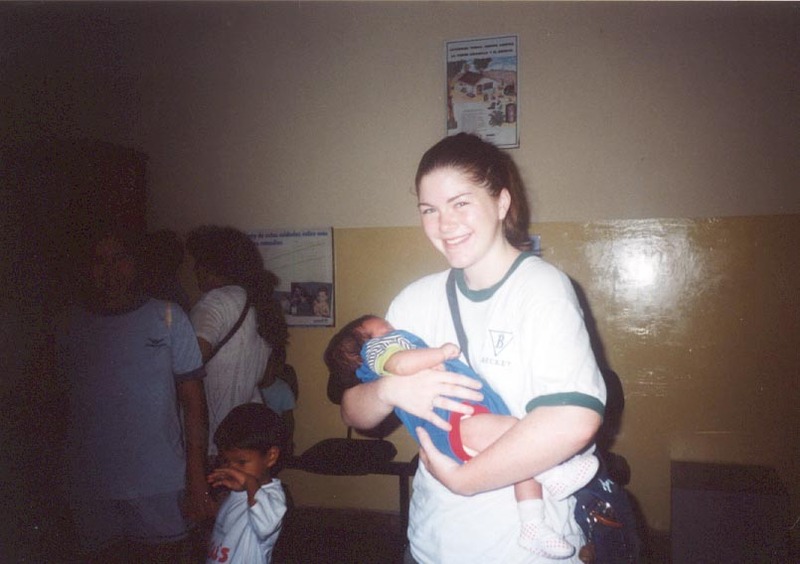 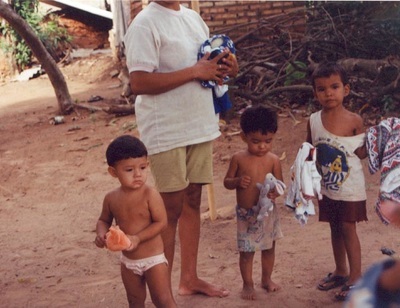 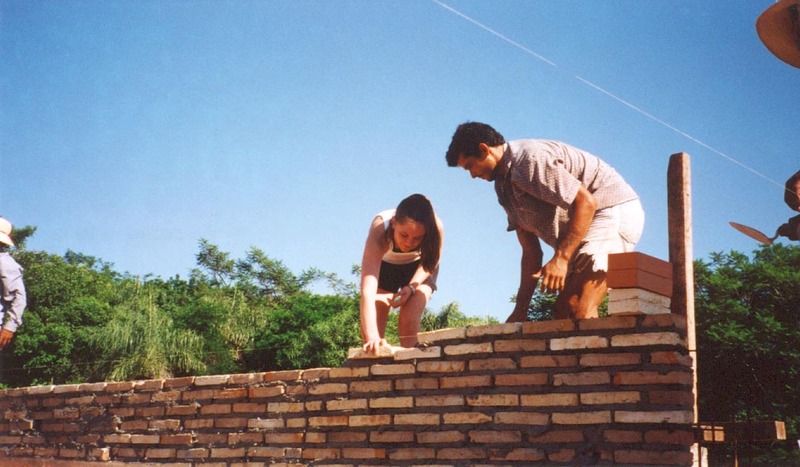 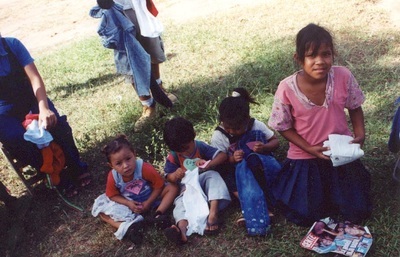 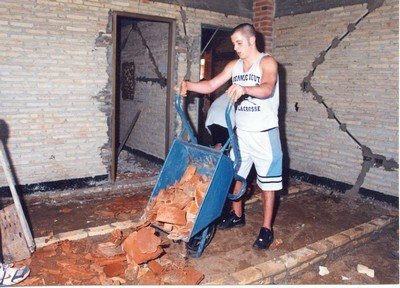 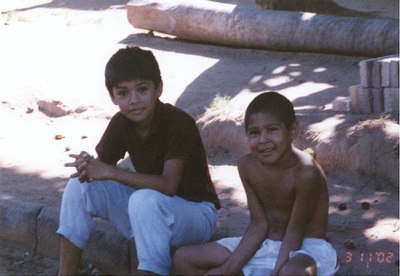 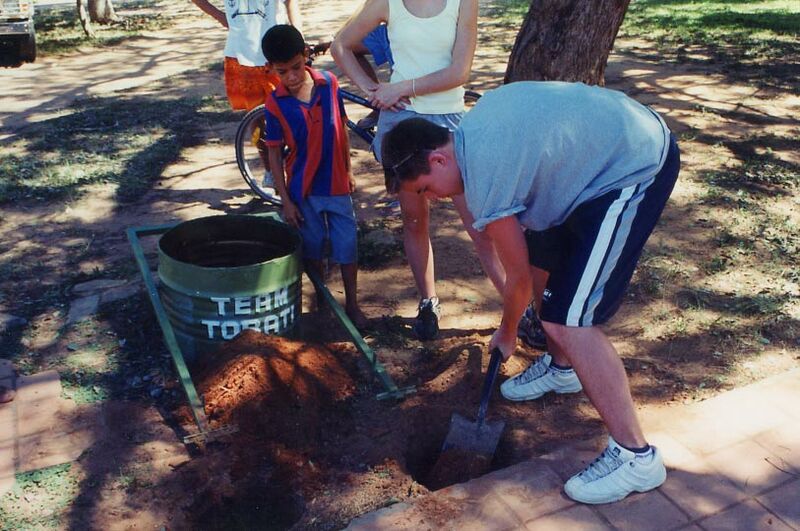 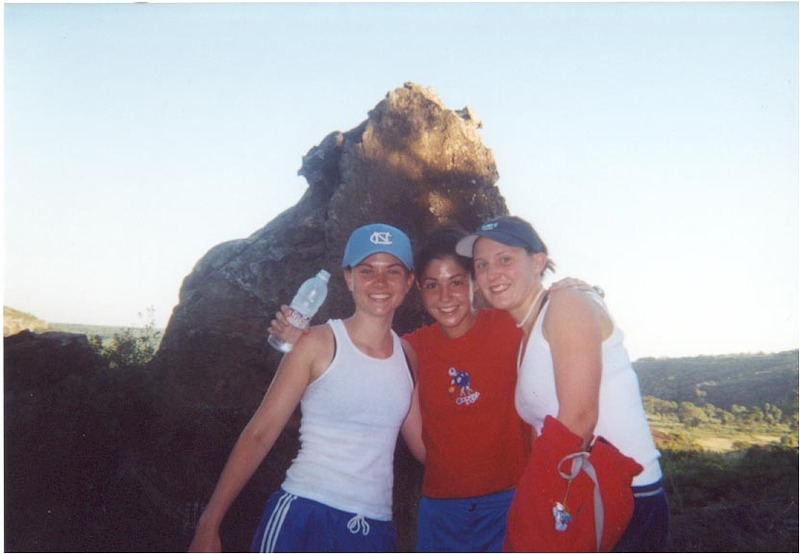 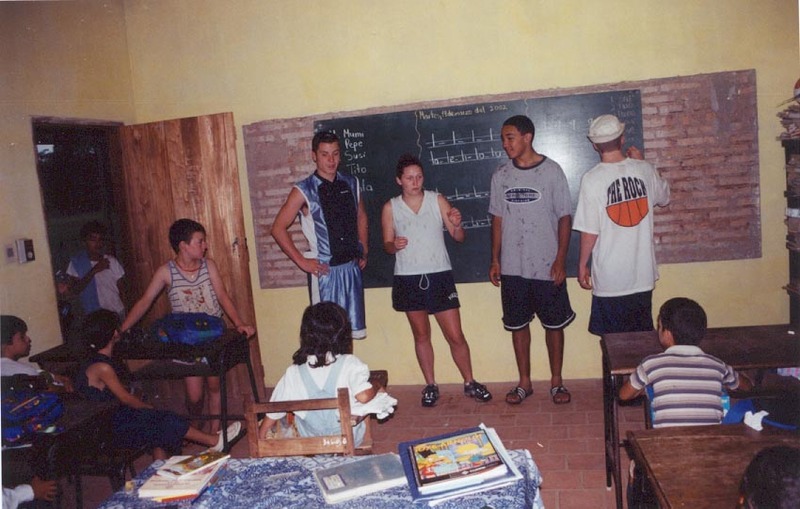 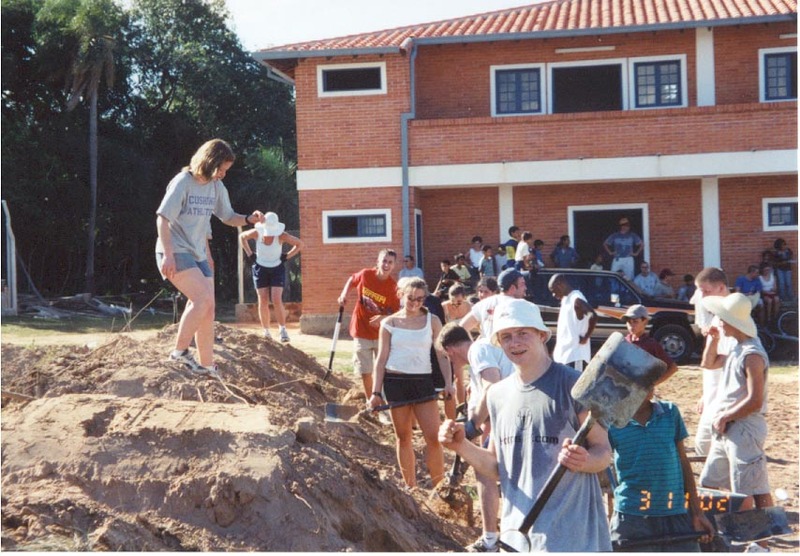 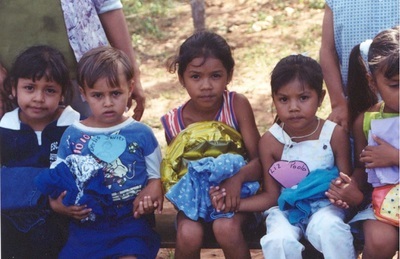 In March 2002, 27 high school students, eight teachers, one staff member, and four medical doctors, traveled with the team to Paraguay to perform community service projects and free clinics. 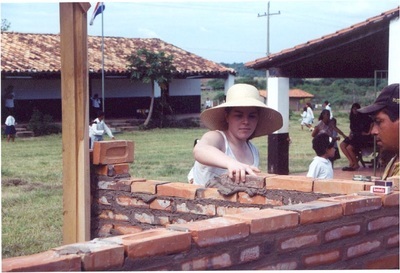 The team worked each day on the construction of the Macchi education center. 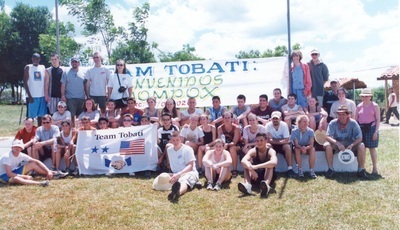 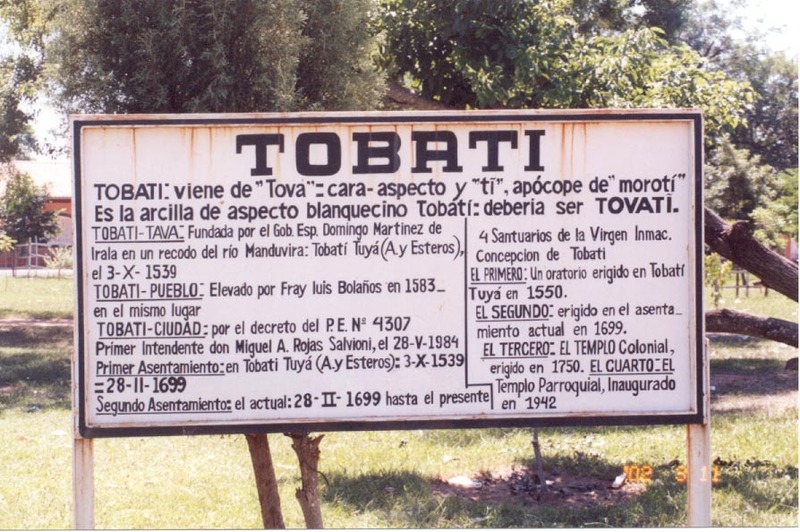 The team sent students each day to work with Team Tobatí's doctors who treated hundreds of patients each day at the public clinic. 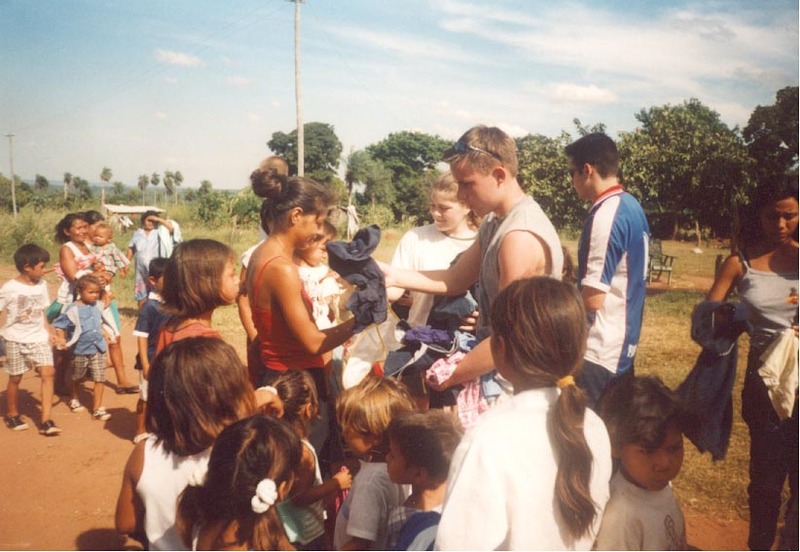 The team also visited over twenty schools and distributed clothes, toys, and school supplies to children in poor neighborhoods. 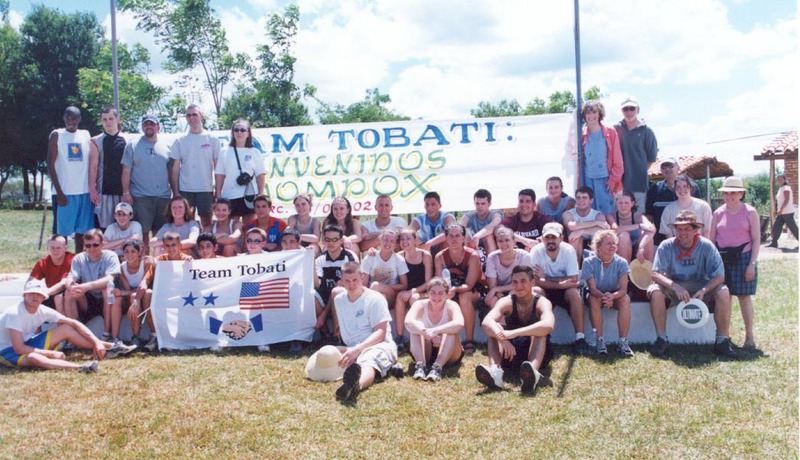 Moreover, the team funded and participated in a program that supplied a toothbrush and fluoride to over 8,000 Tobatí students. Team representatives were again honored by the president of Paraguay at the presidential palace in Asuncion.